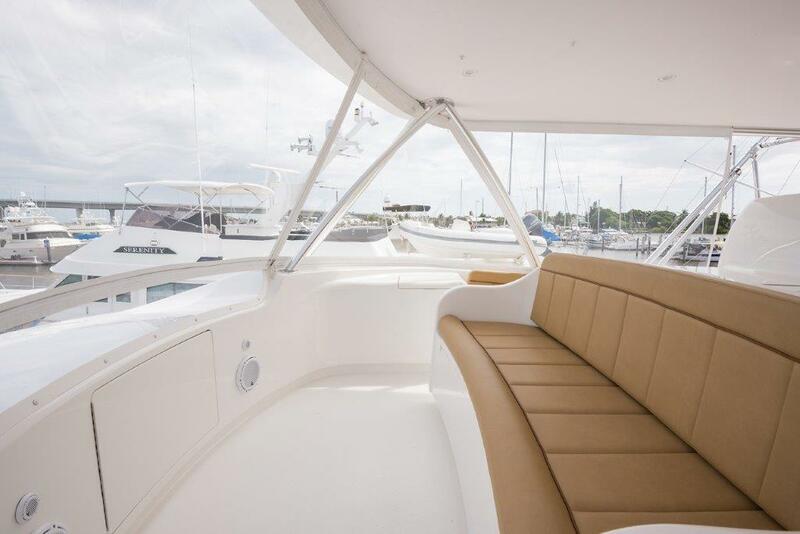 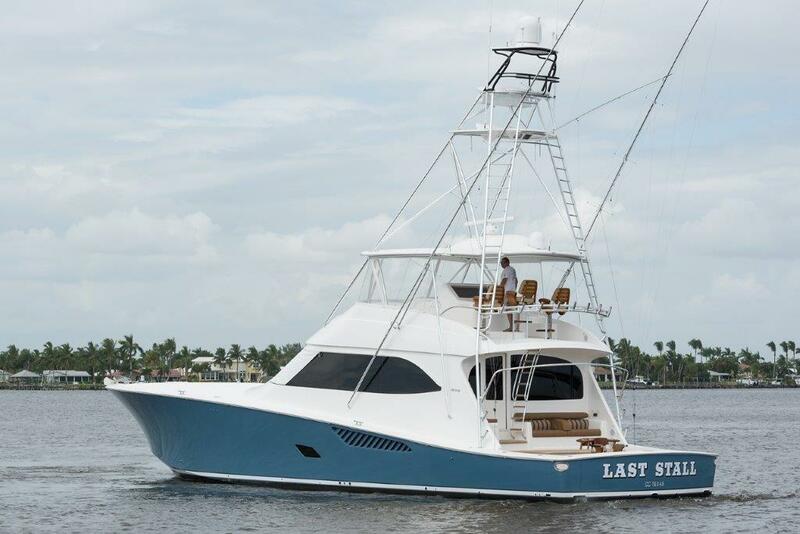 2013 Viking 76 Convertible "Last Stall"
The 2013 VIKING YACHTS 76’ CONVERTIBLE SPORTFISH LAST STALL is the lowest-hour, most pristine 76’ VIKING with warranty on the market today! 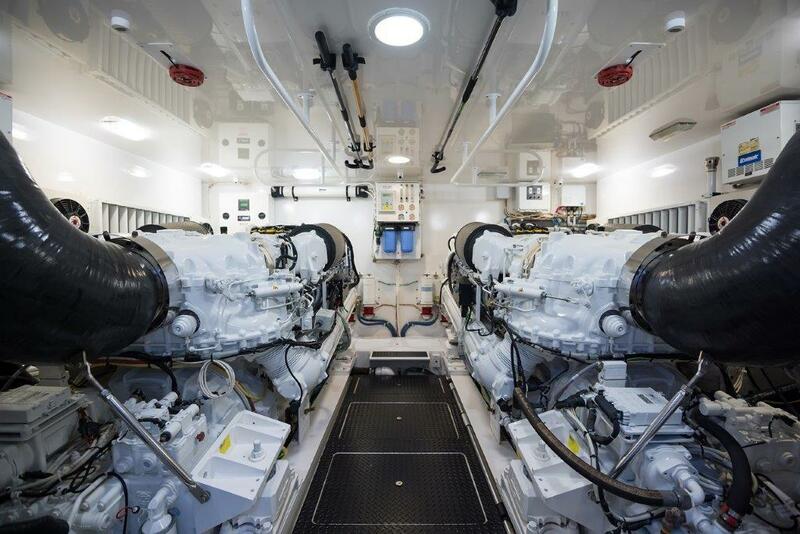 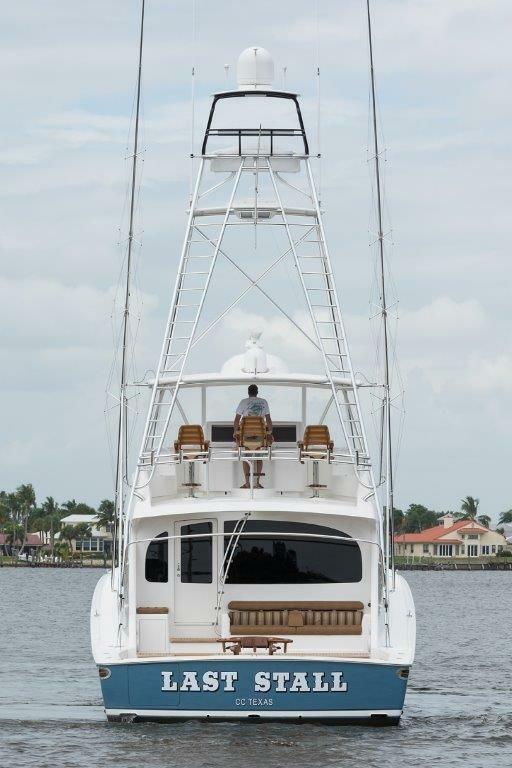 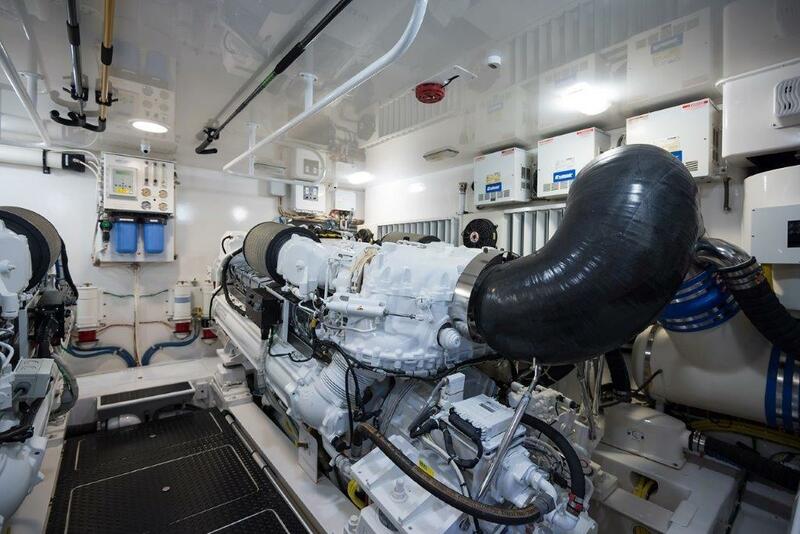 She is outfitted with a Palm Beach Tuna Tower, factory-installed Seakeeper gyro stabilizing system, state of the art electronics, additional 600-gallon fuel tank, teak cockpit sole, and many more custom features. 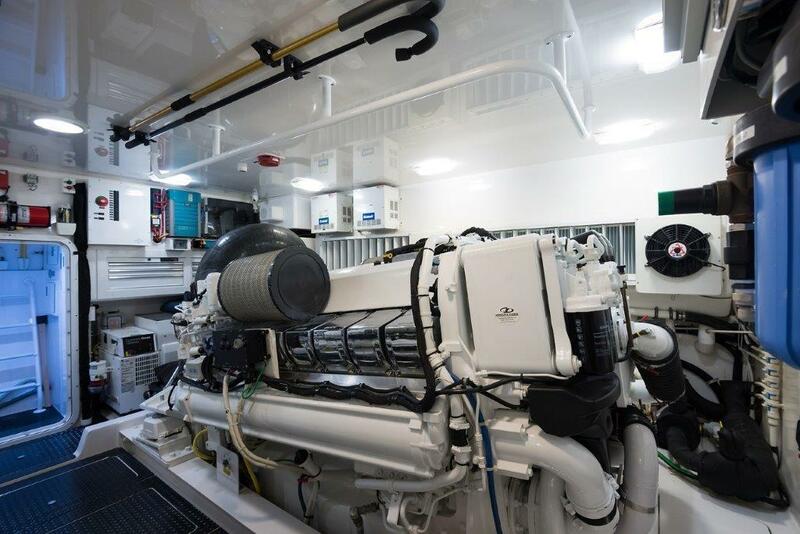 Engine Warranty good until March 2020! 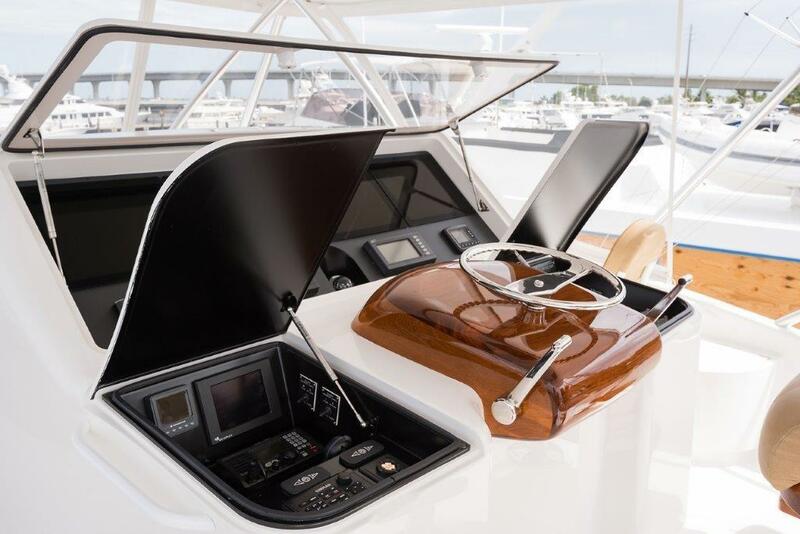 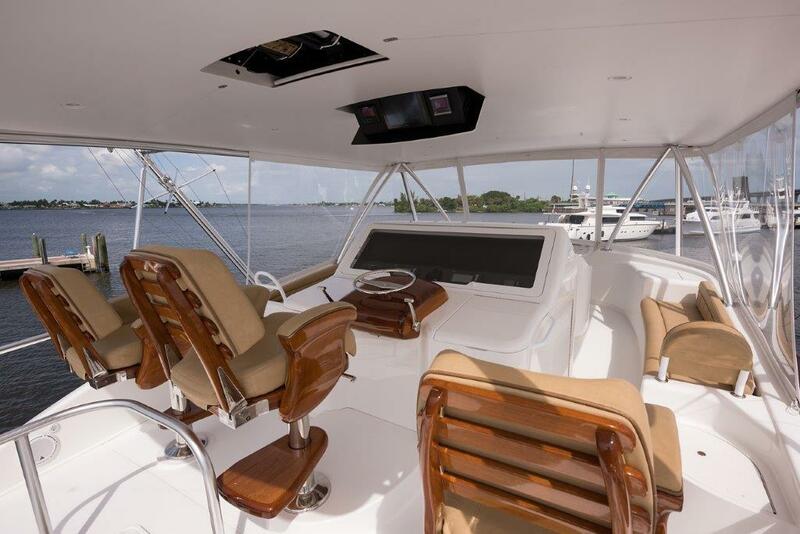 This 76’ CONVERTIBLE is professionally maintained by a full time captain and mate and is in immaculate condition. 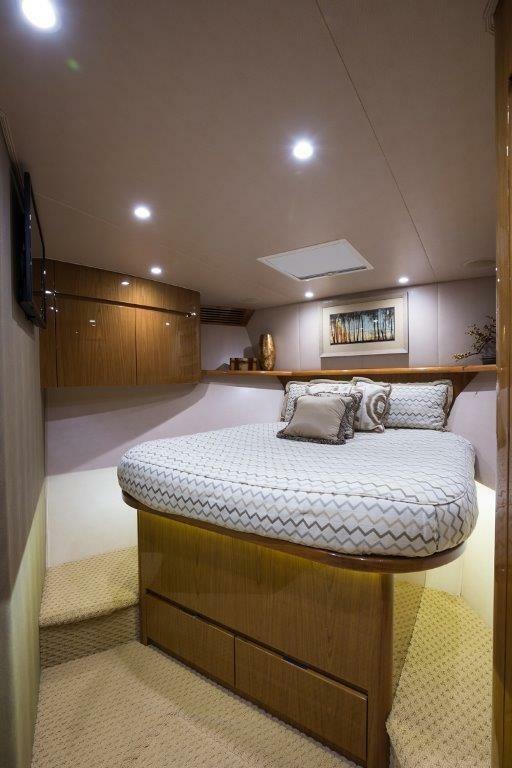 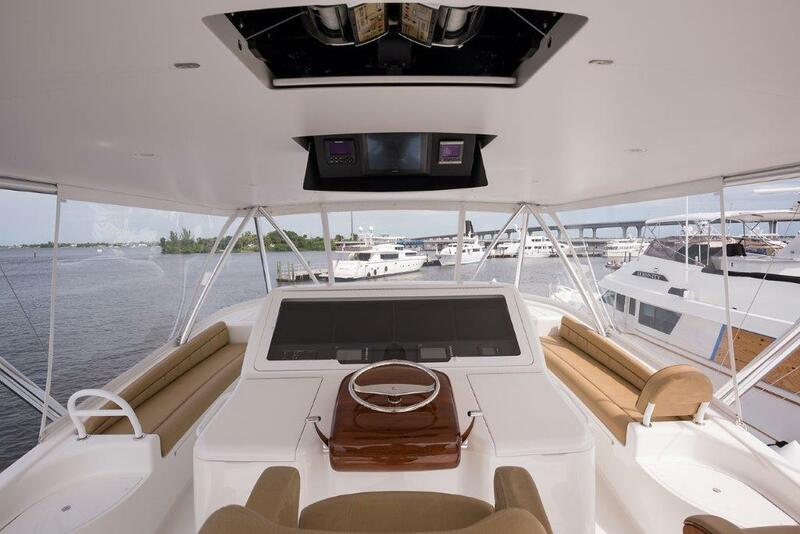 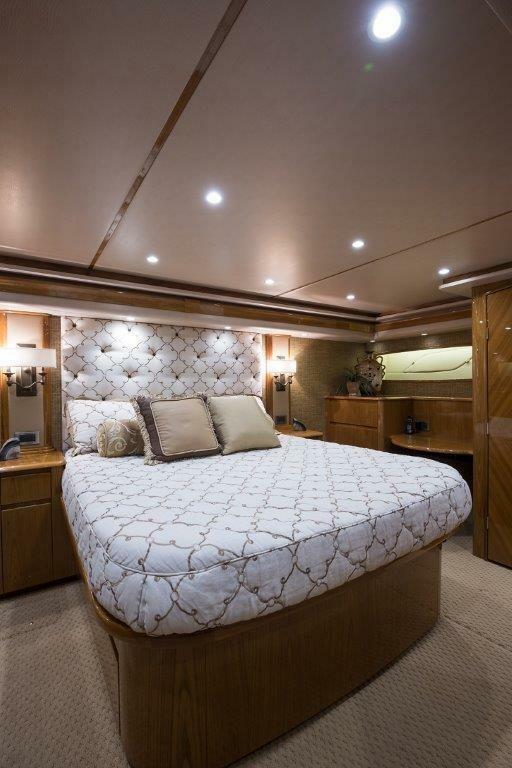 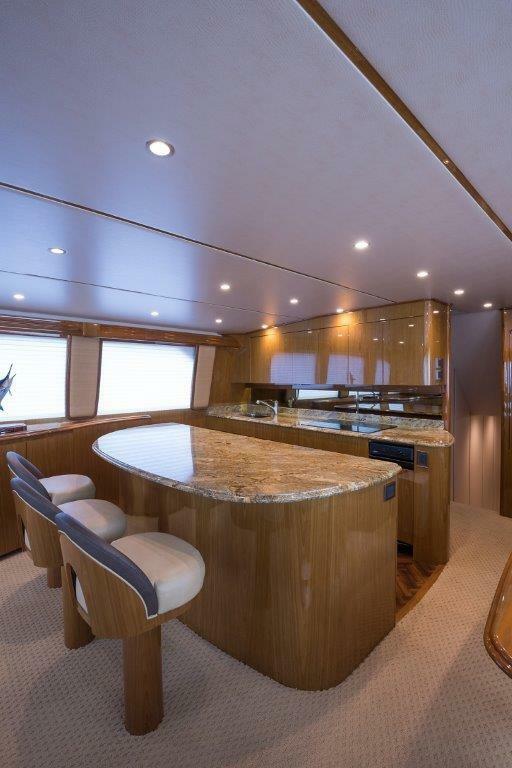 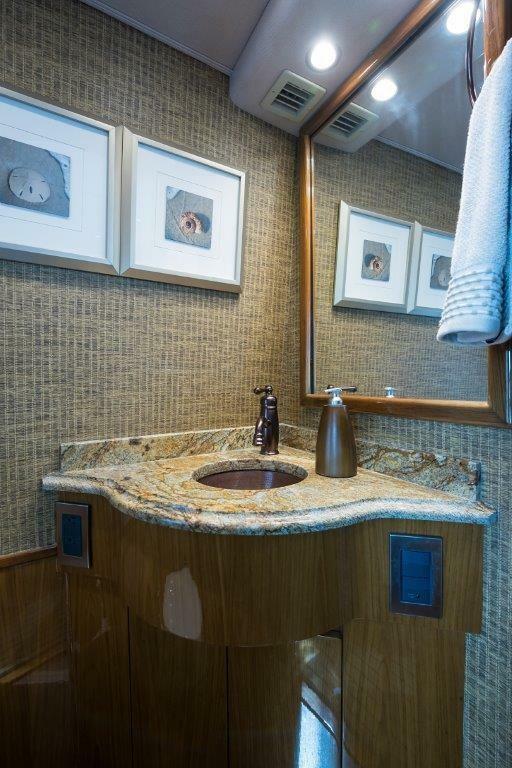 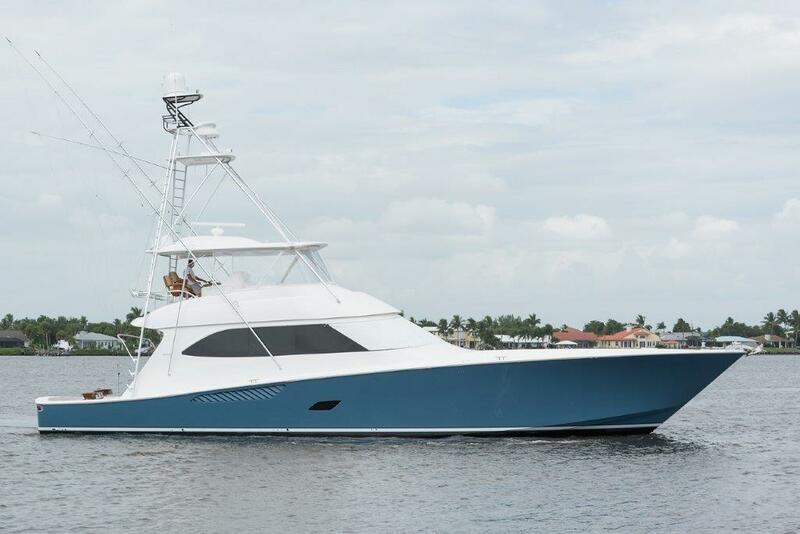 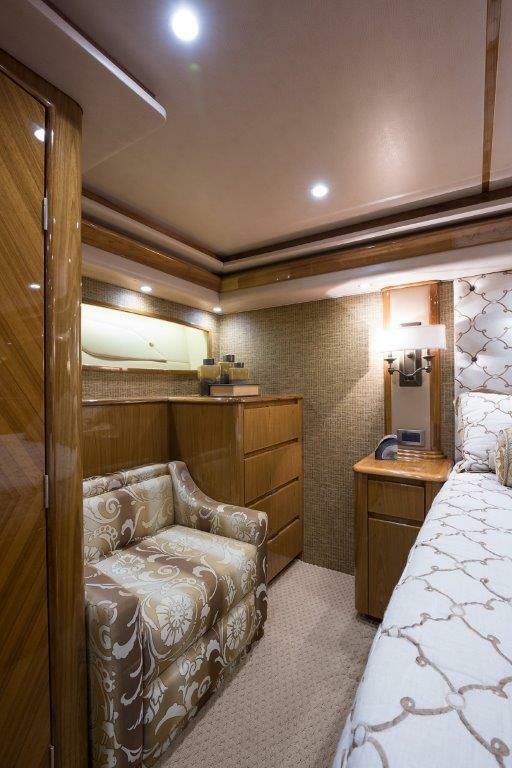 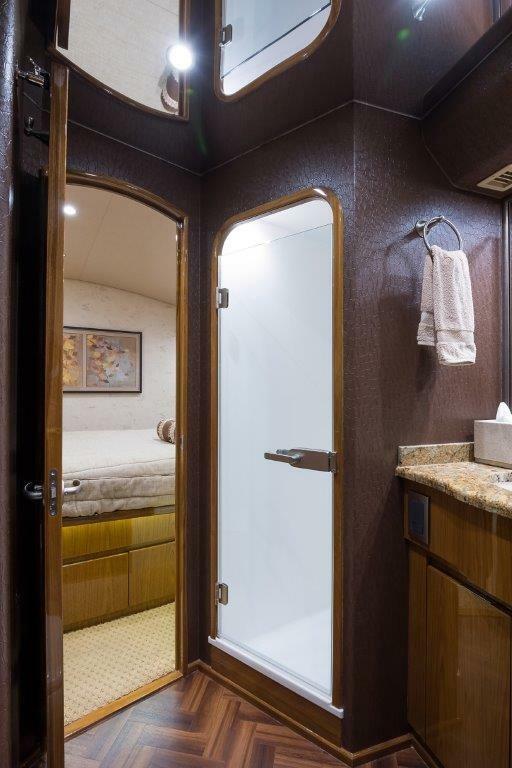 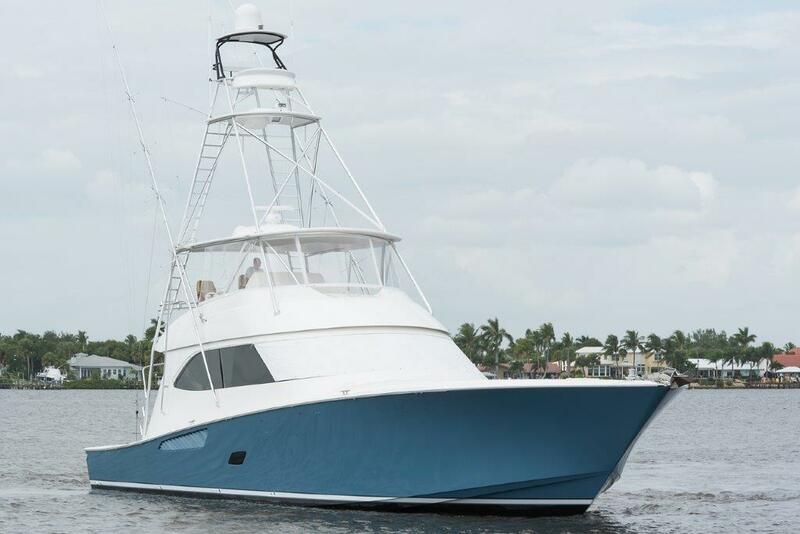 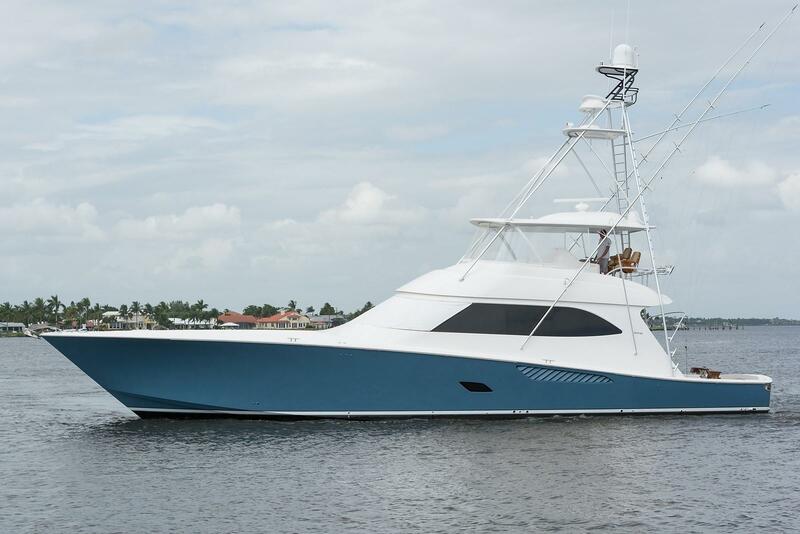 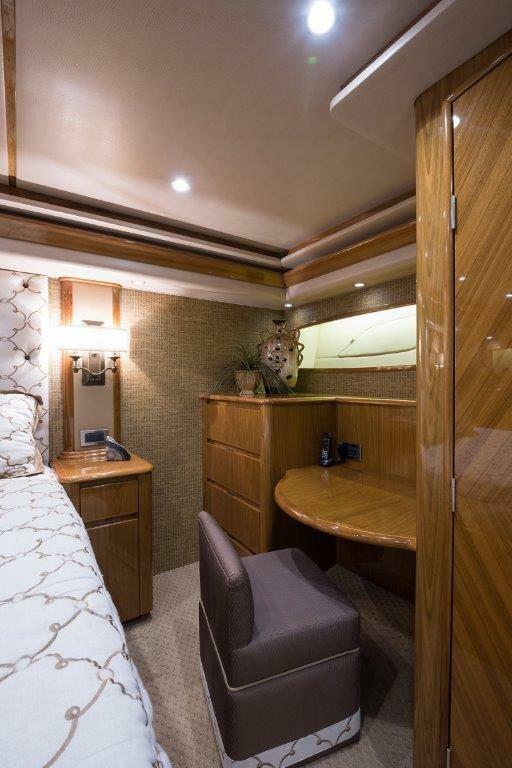 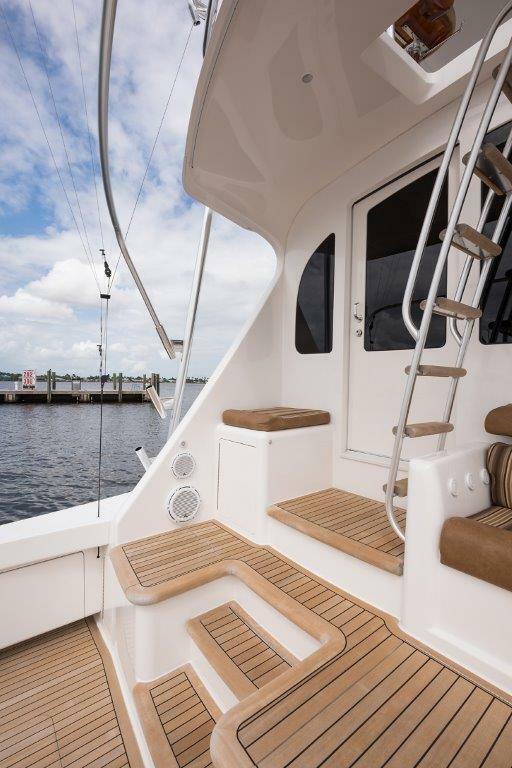 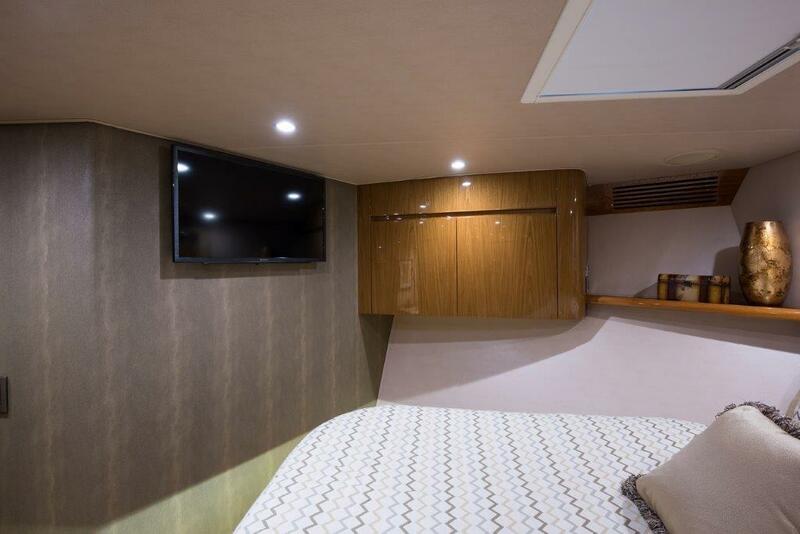 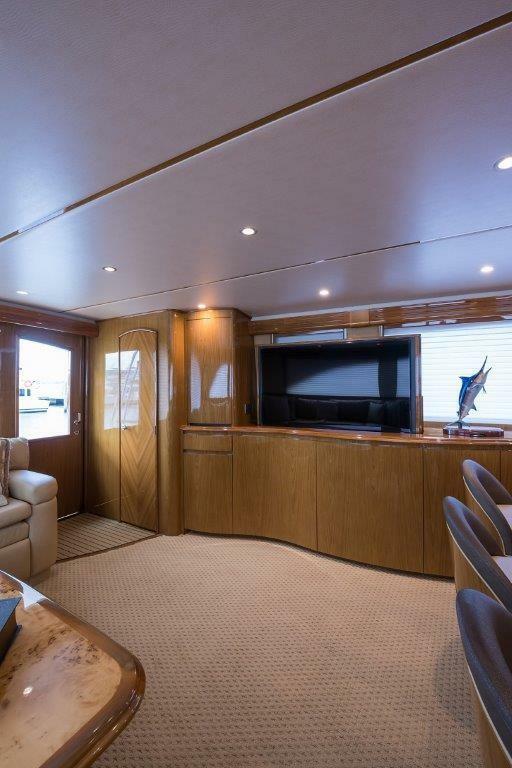 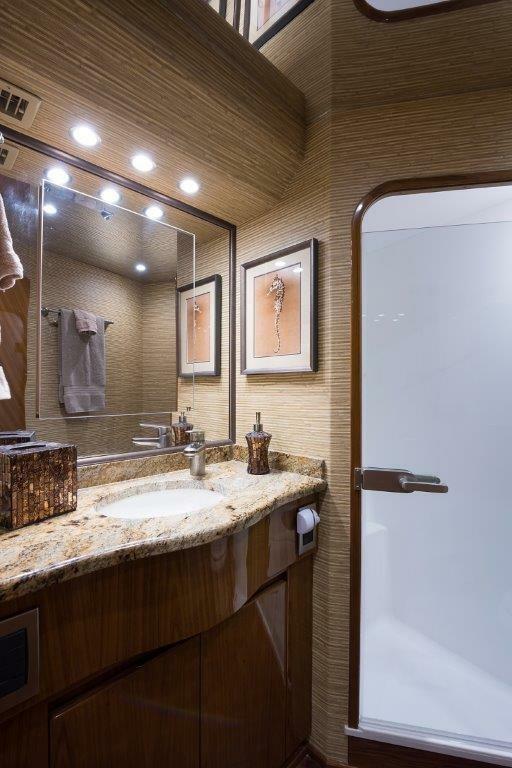 You’ll find a spacious five-stateroom, five-head layout on this beautiful VIKING 76’ SPORTFISH battlewagon. 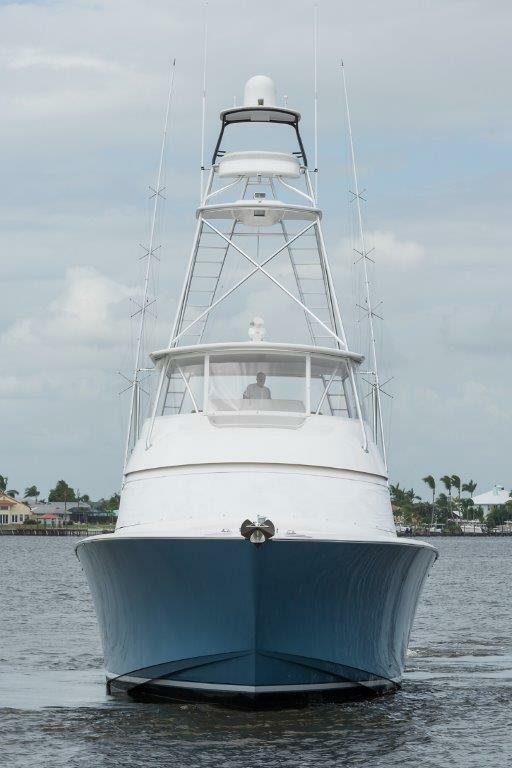 She won’t last long. 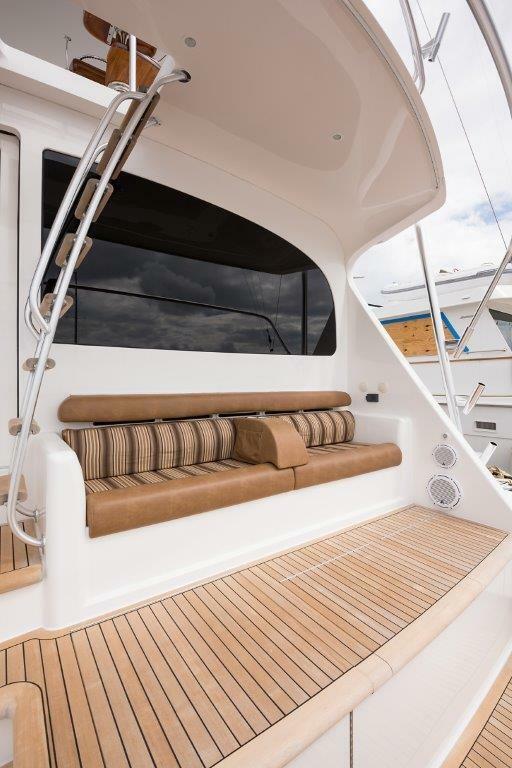 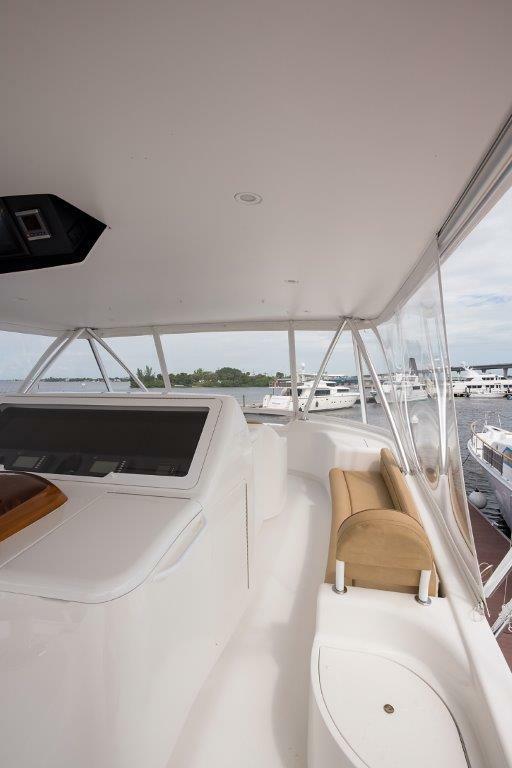 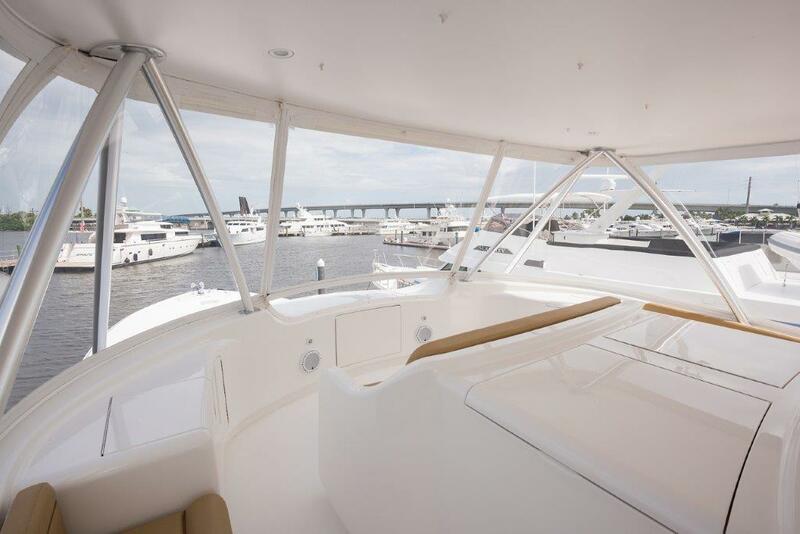 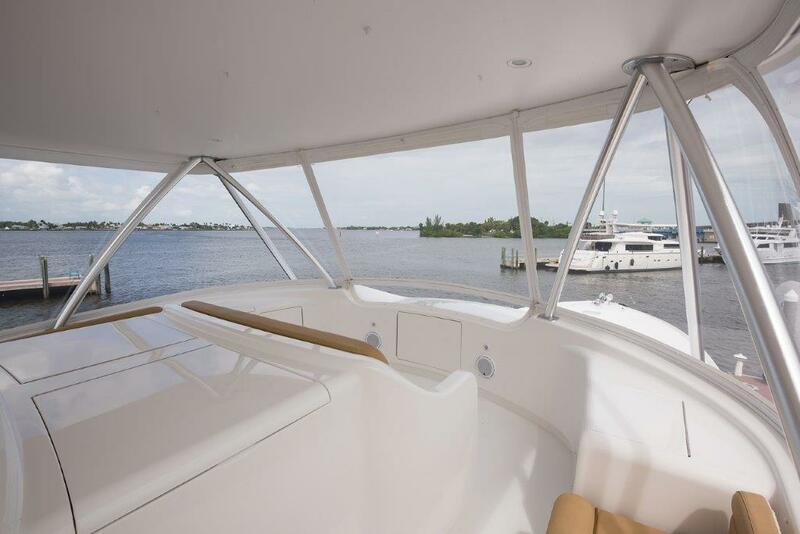 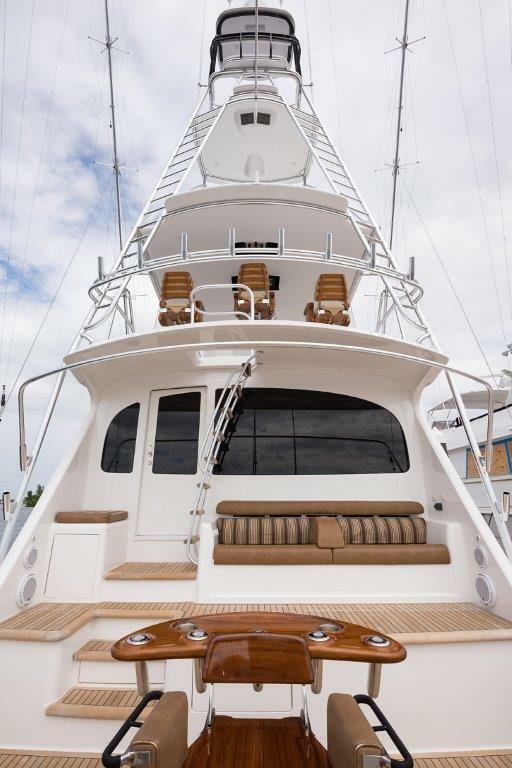 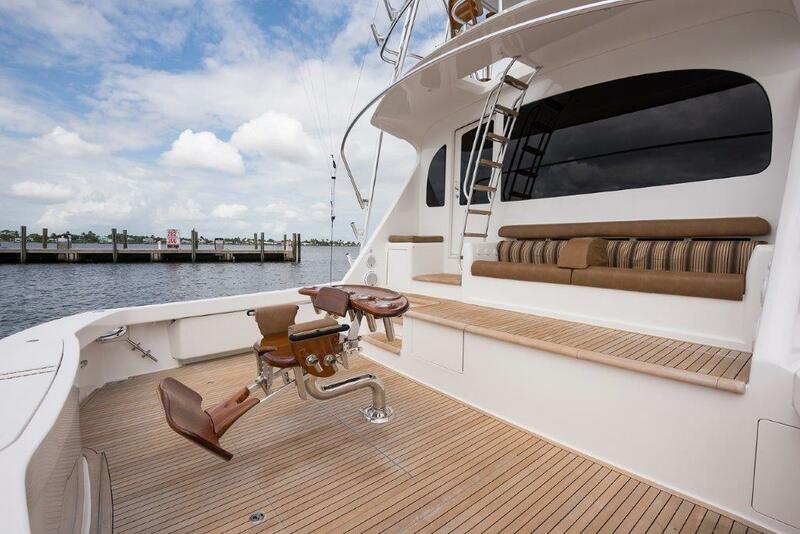 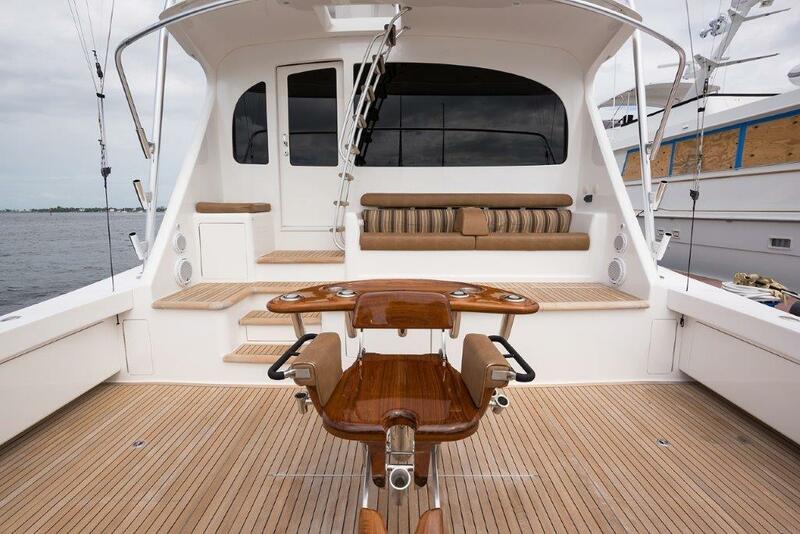 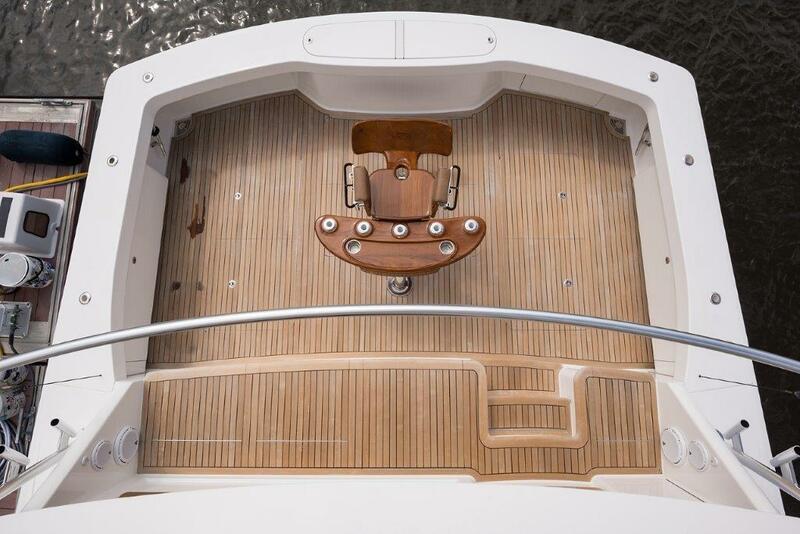 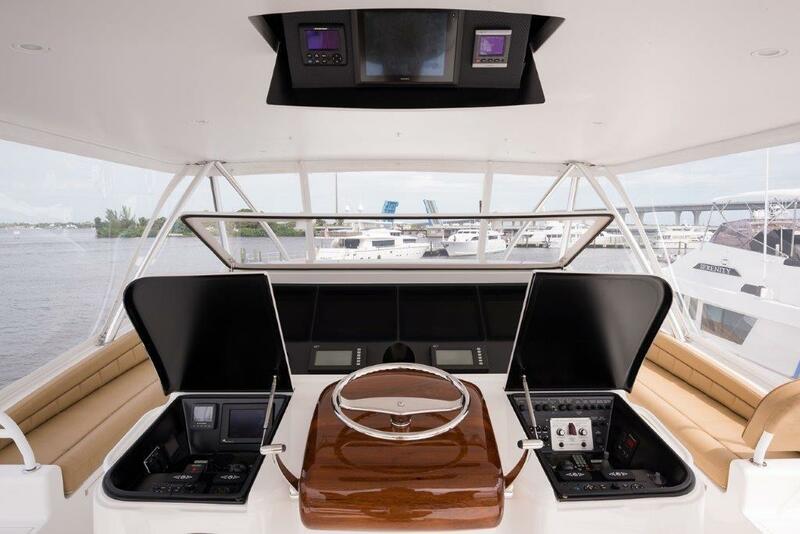 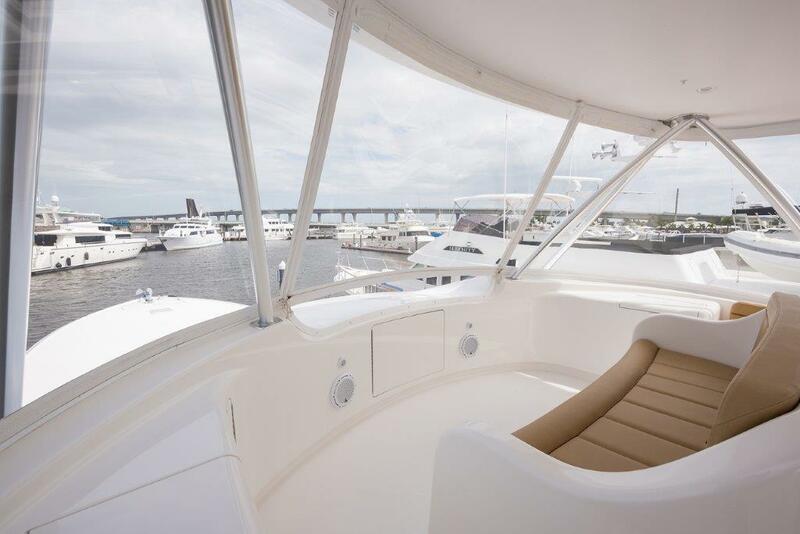 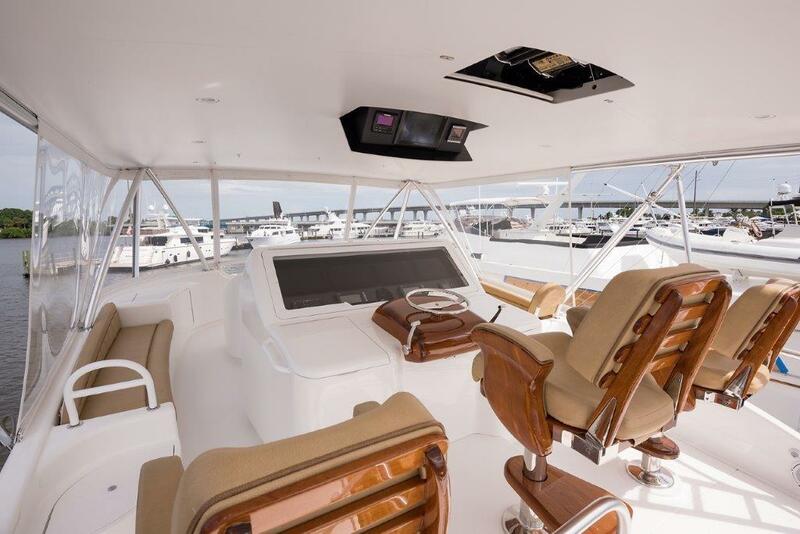 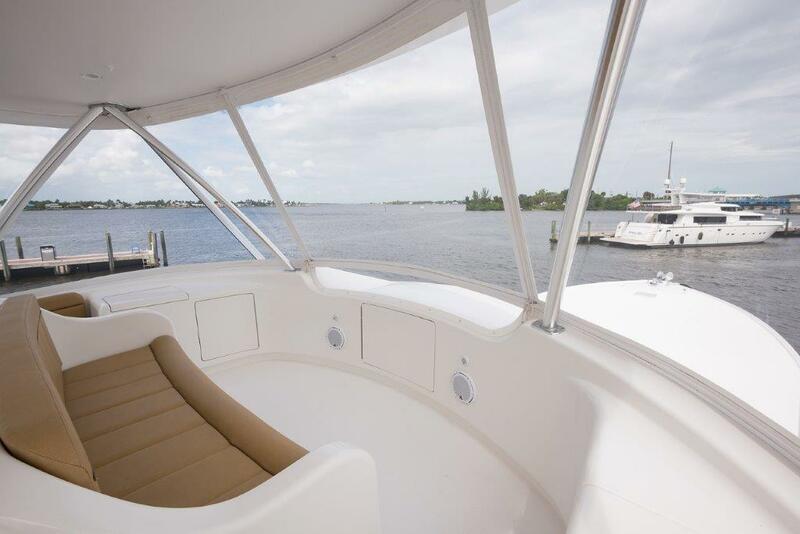 Call today to schedule a private showing of the 2013 VIKING YACHTS 76’ CONVERTIBLE SPORTFISH LAST STALL. 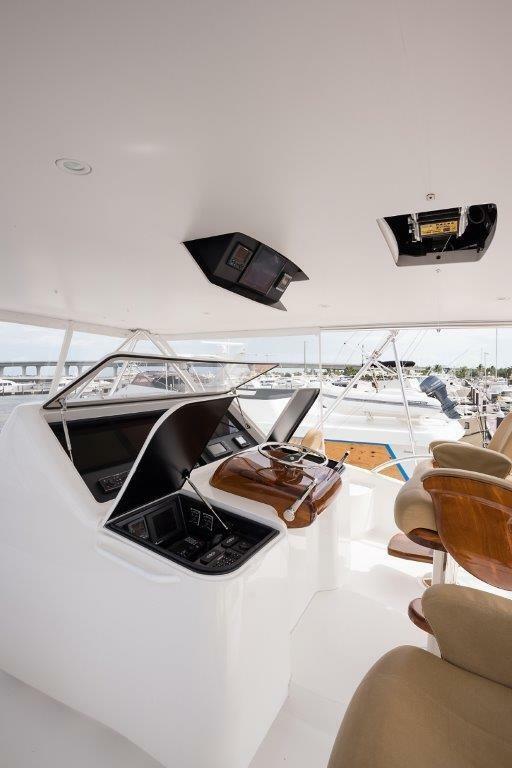 The layout of the 76 Viking Convertible is the envy of the industry. 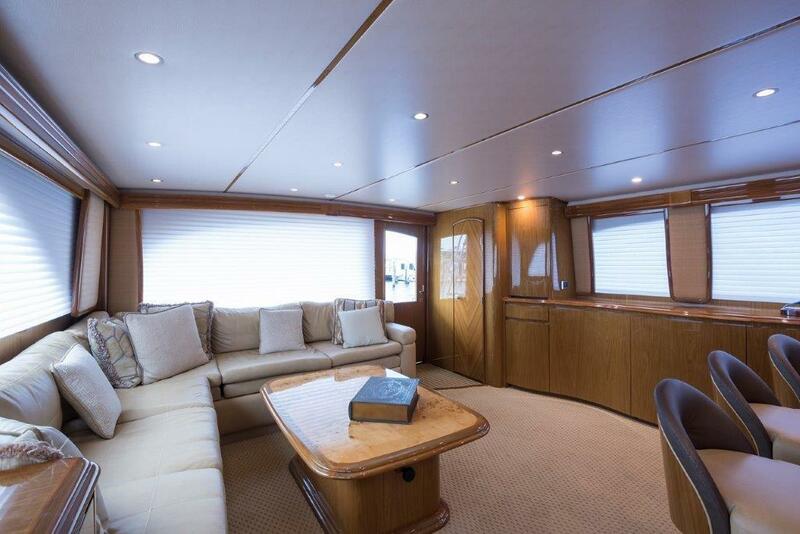 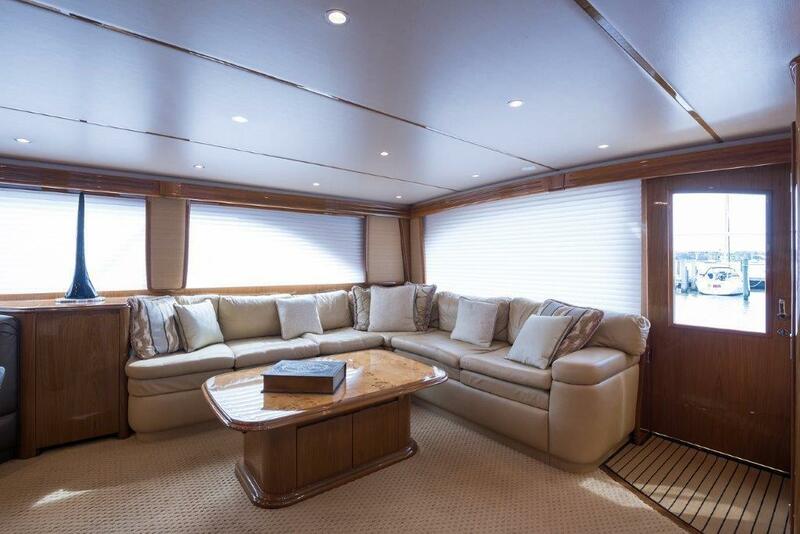 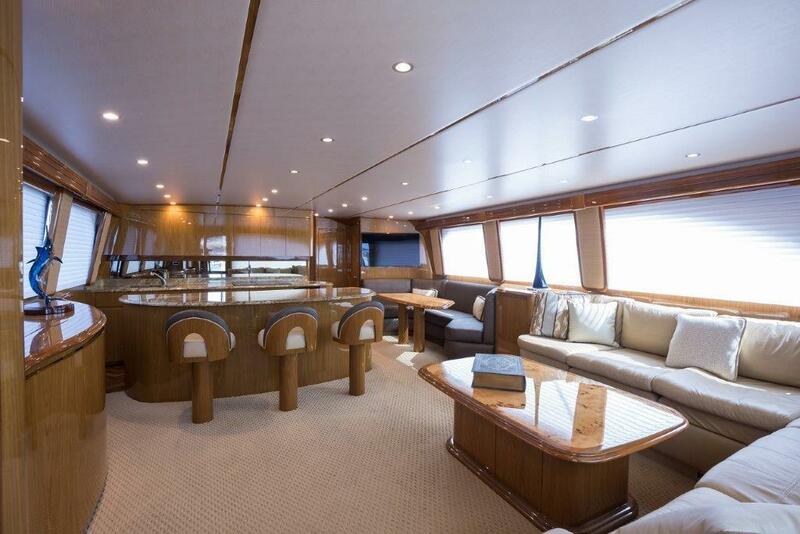 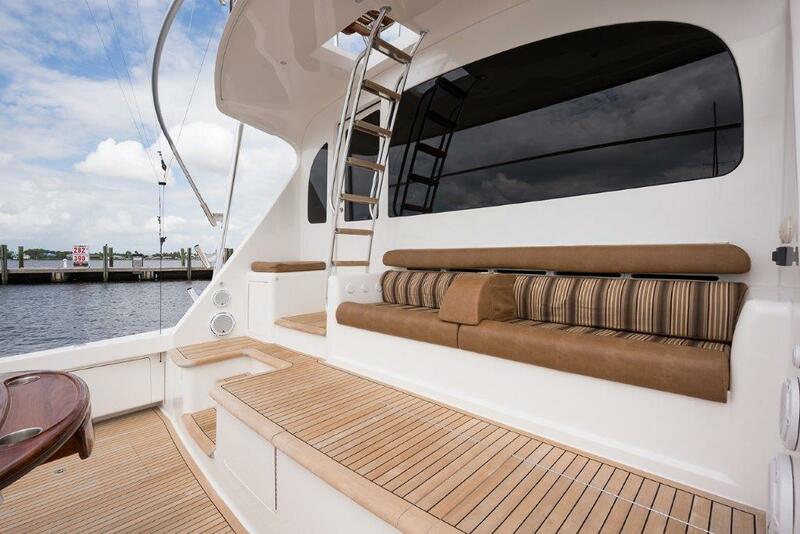 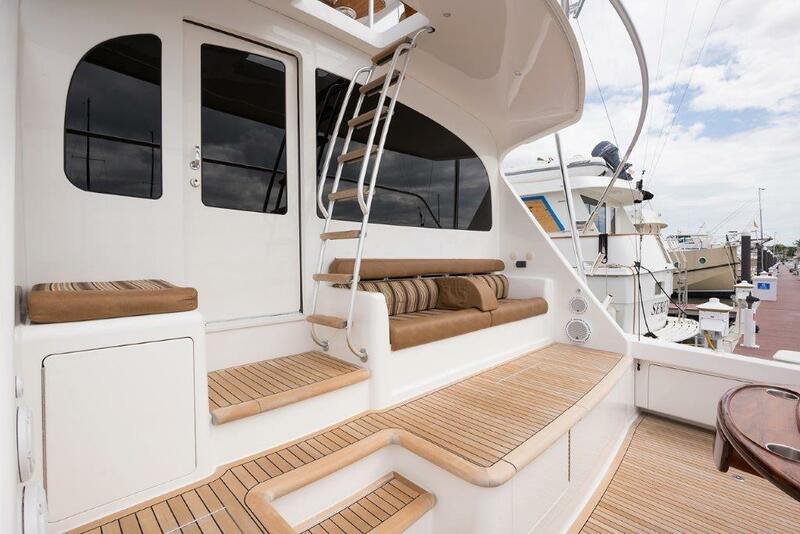 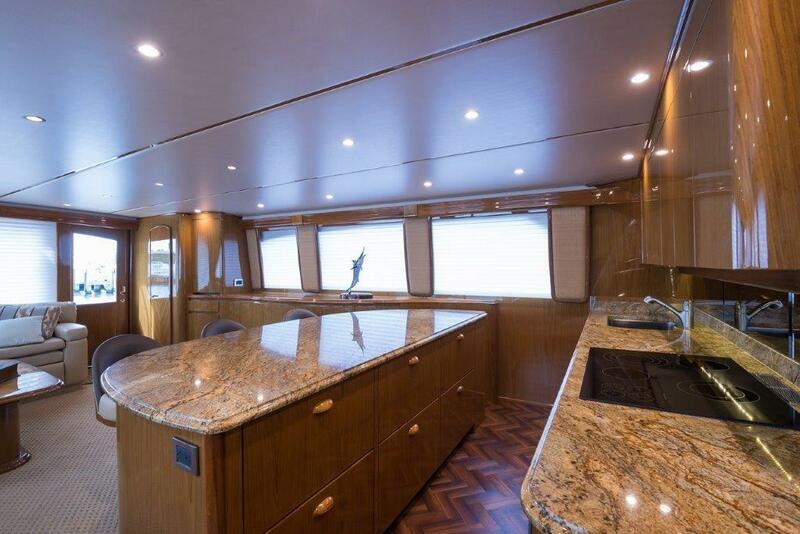 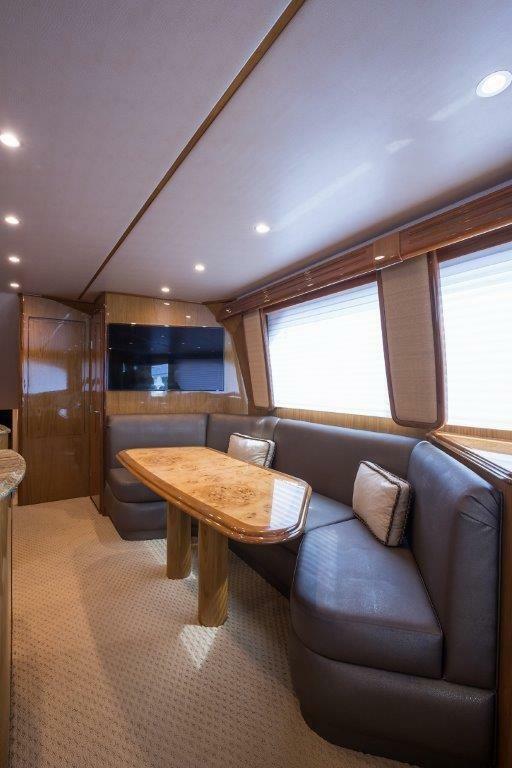 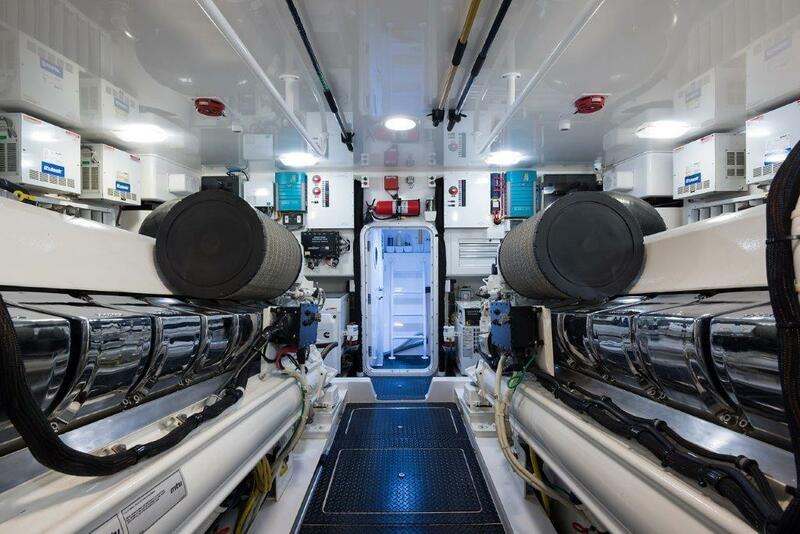 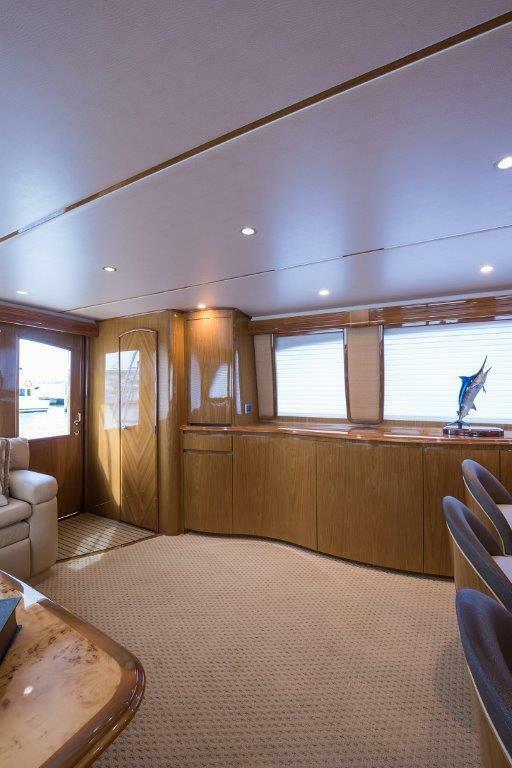 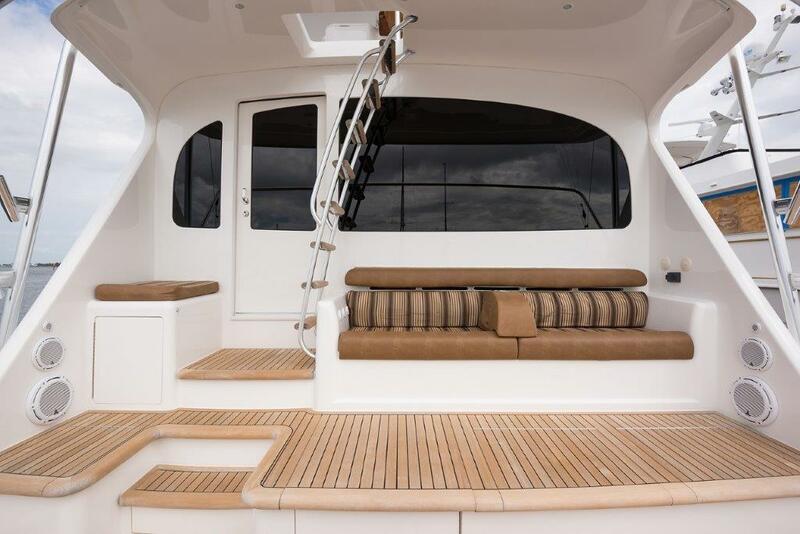 The main deck features a salon/galley/dinette living area with a convenient day head aft to port. 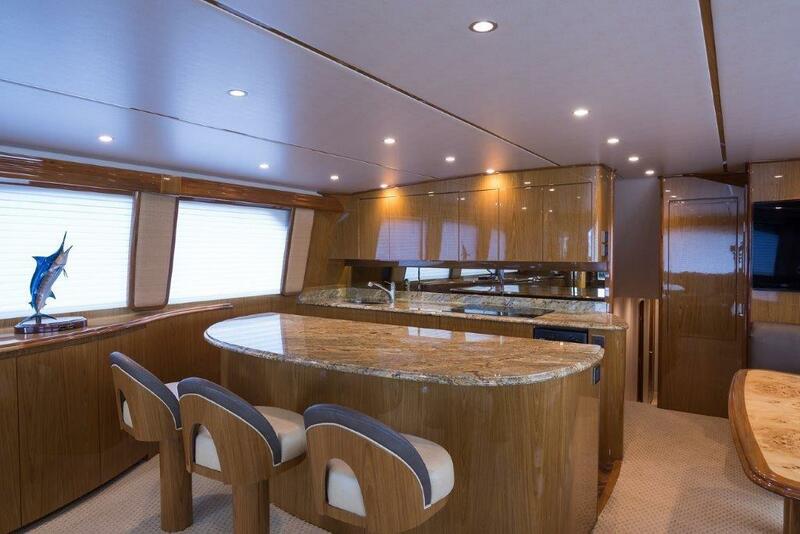 The galley is highlighted by an island counter which provides access from both sides. 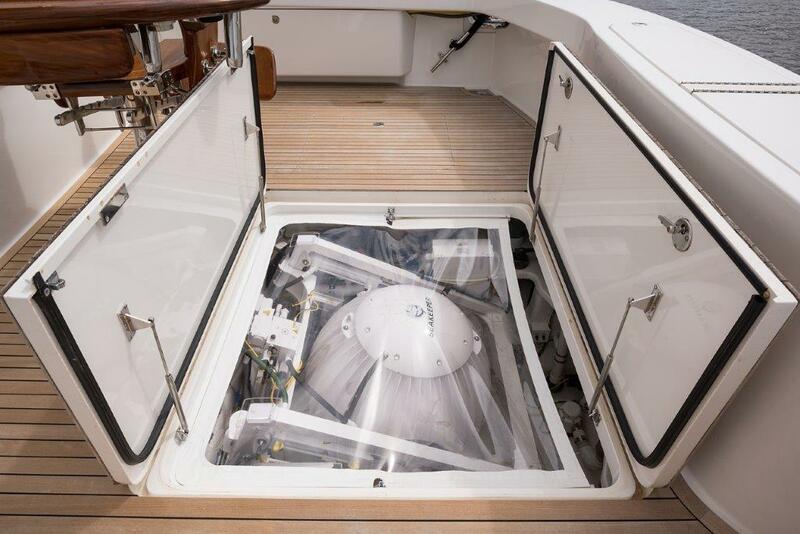 Concealed in the island are four SUB-ZERO refrigerator drawers and two SUB-ZERO freezer drawers. 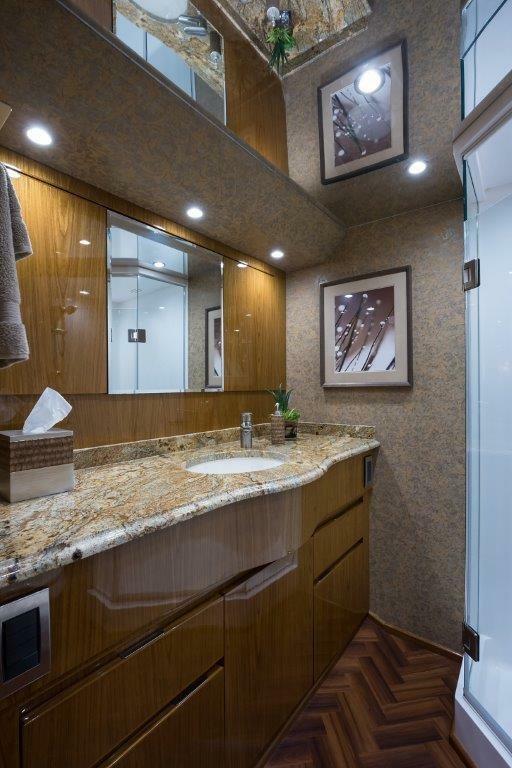 Other galley features include four-burner stove, microwave convection oven, trash compactor, dishwasher, disposal and abundance of door, drawer, and sliding storage. 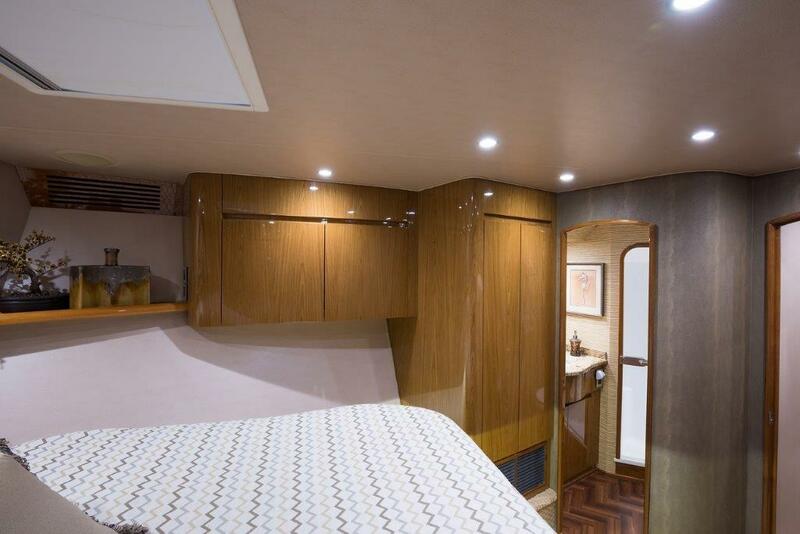 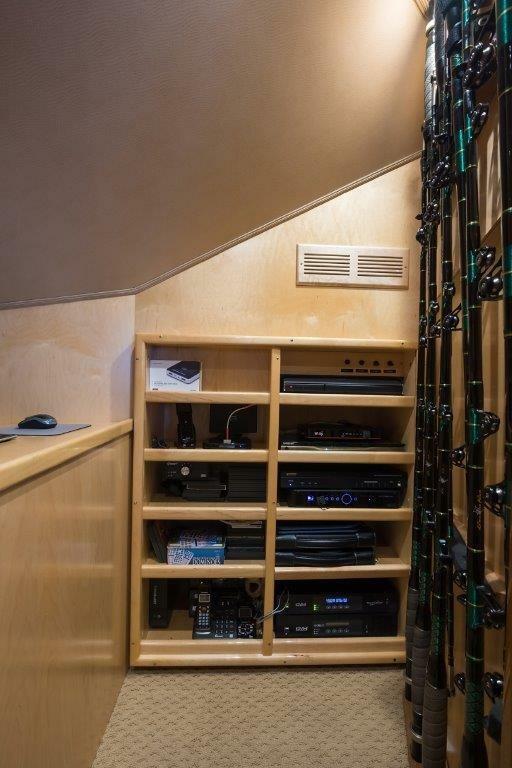 A handy pantry, just forward to port, houses small appliances and provides additional storage. 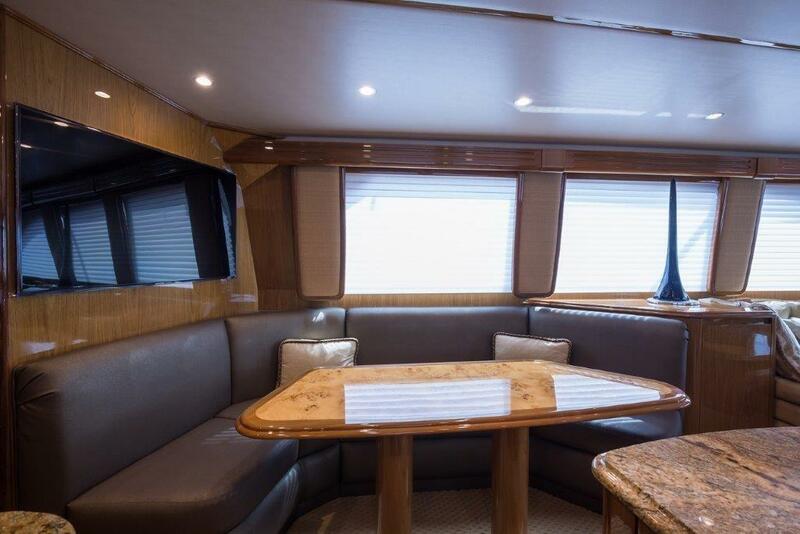 Opposite the galley is the very comfortable and functional dinette. 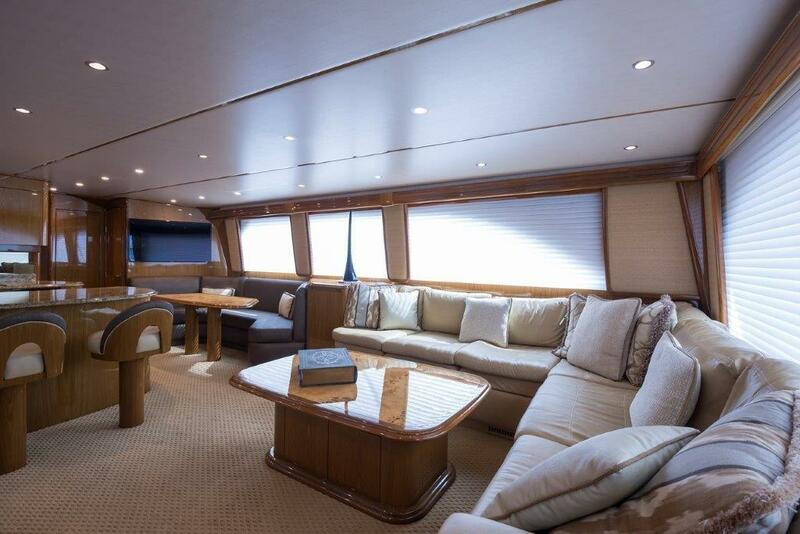 A large L-shaped lounge is aft to starboard in the salon. 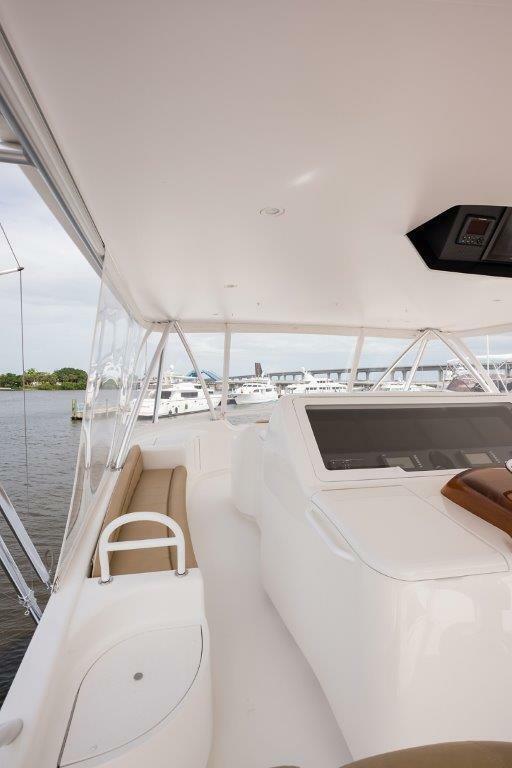 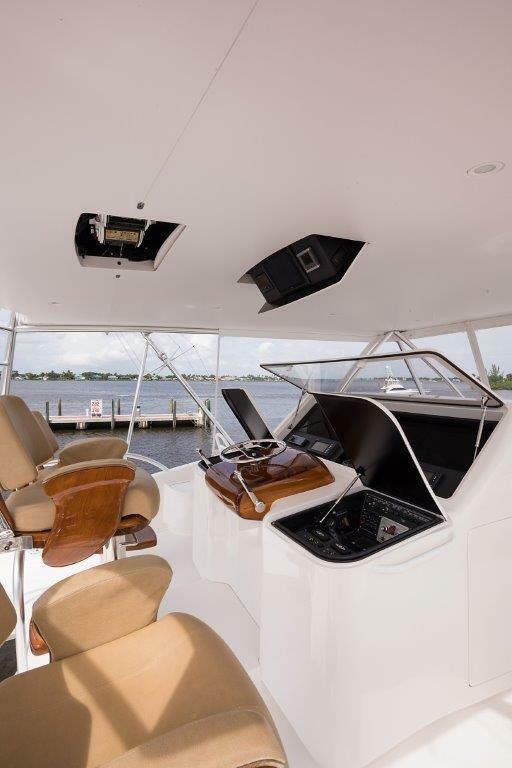 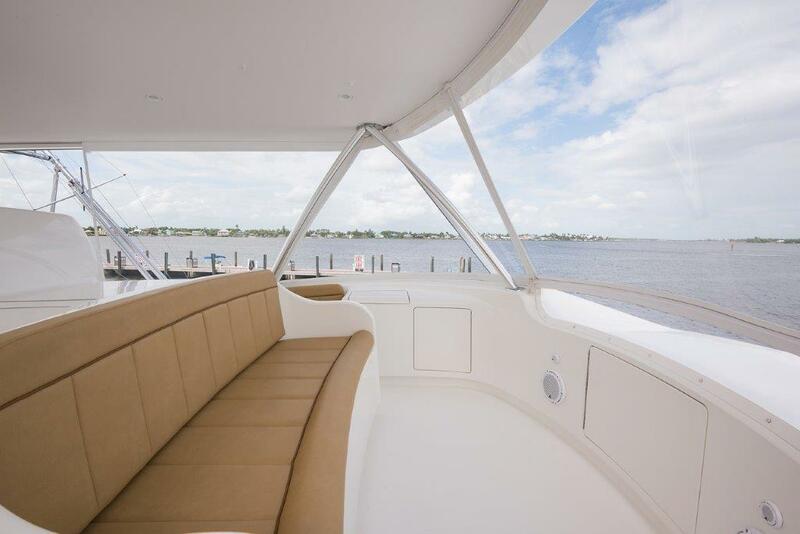 The day head is aft to port and the entertainment center is concealed with a hi-lo TV. 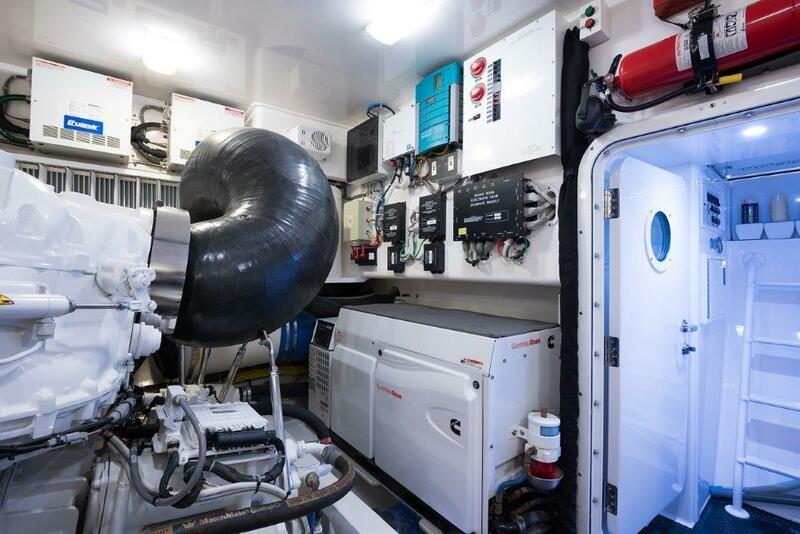 A large icemaker is also provided. 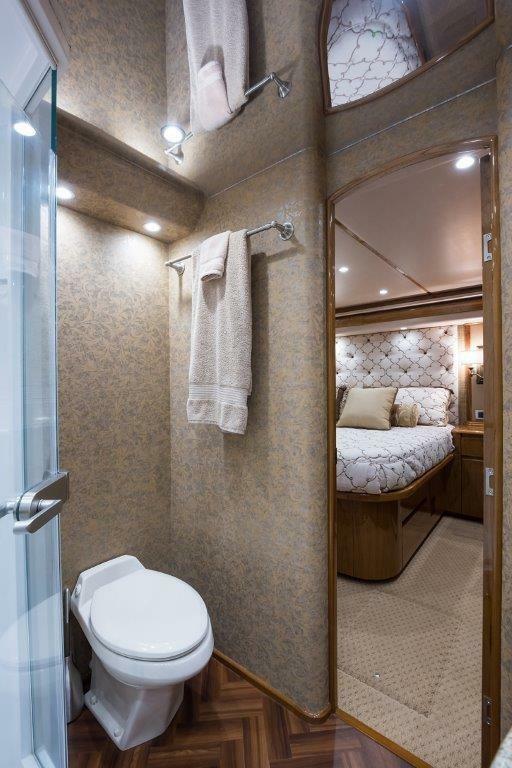 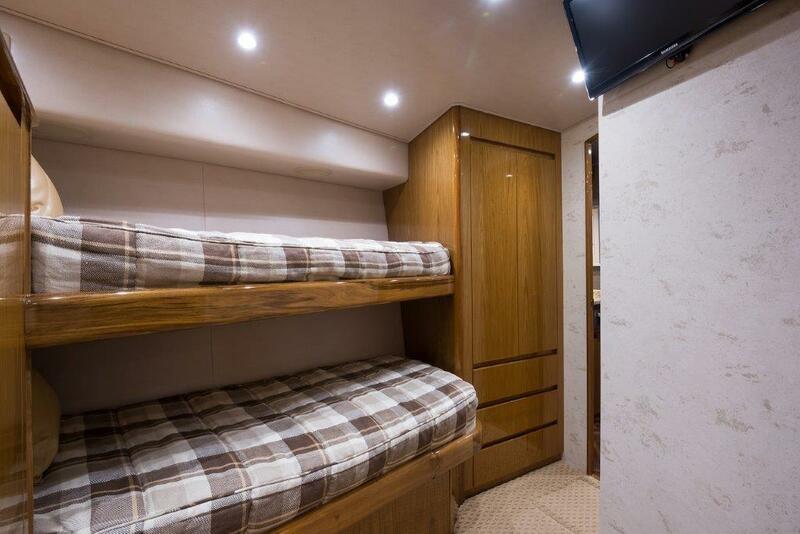 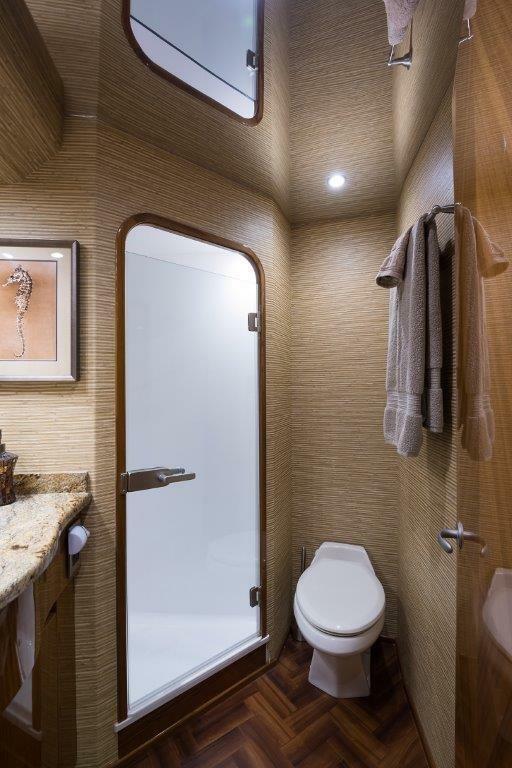 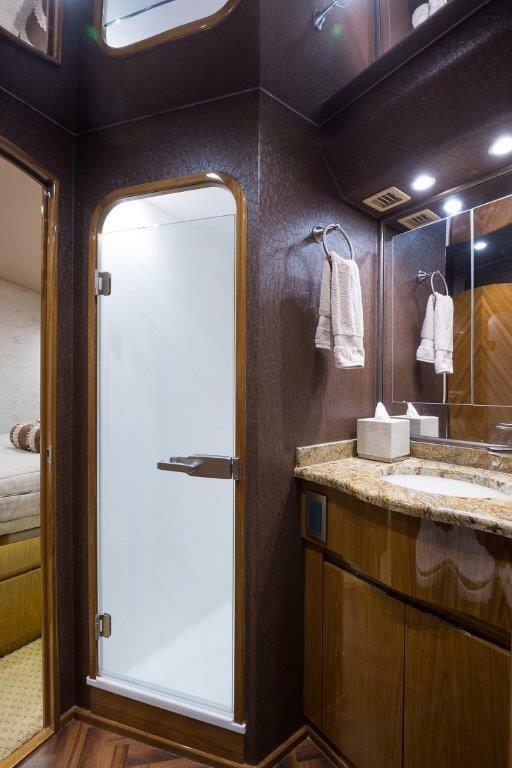 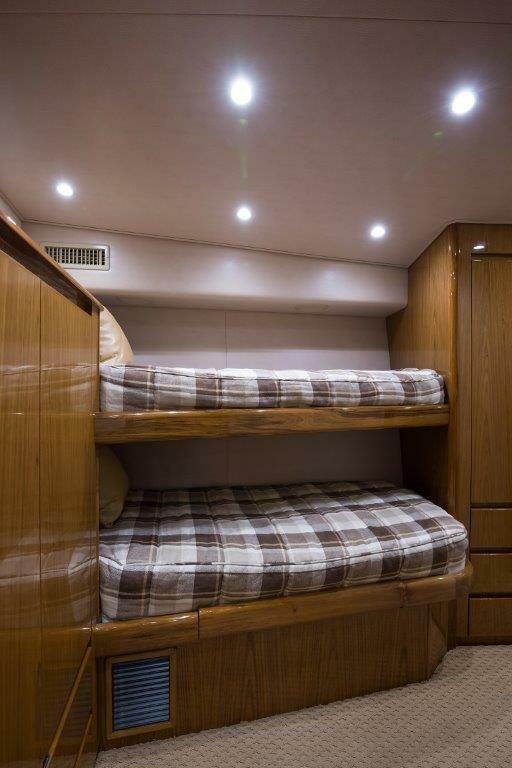 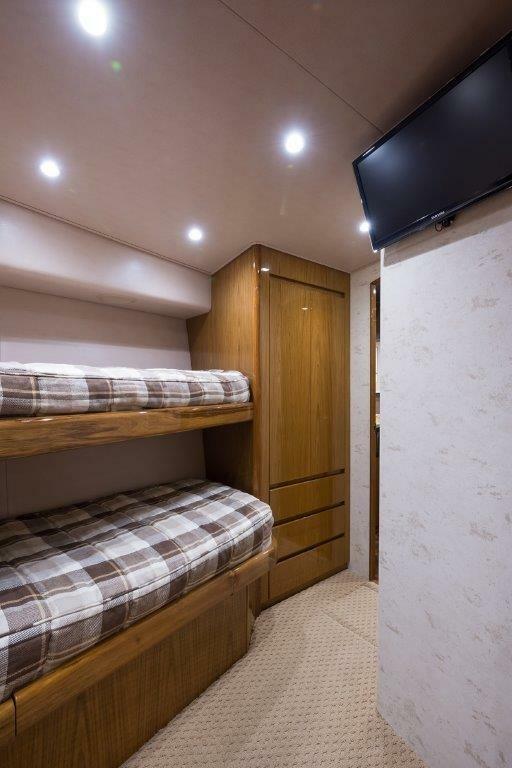 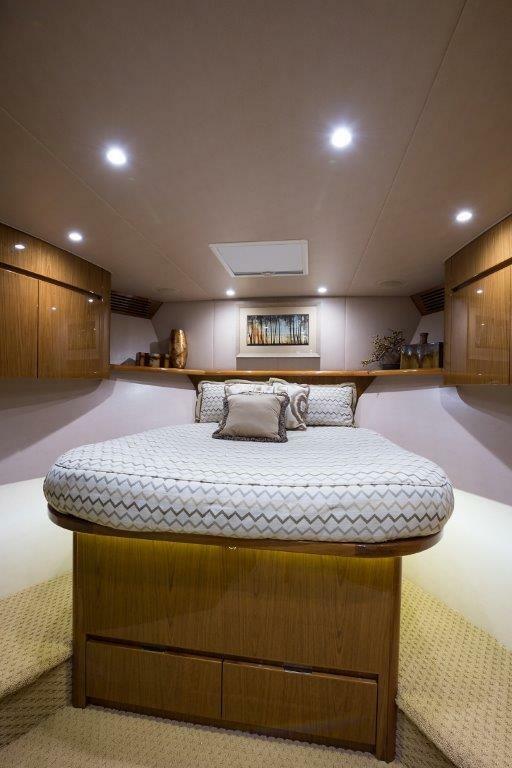 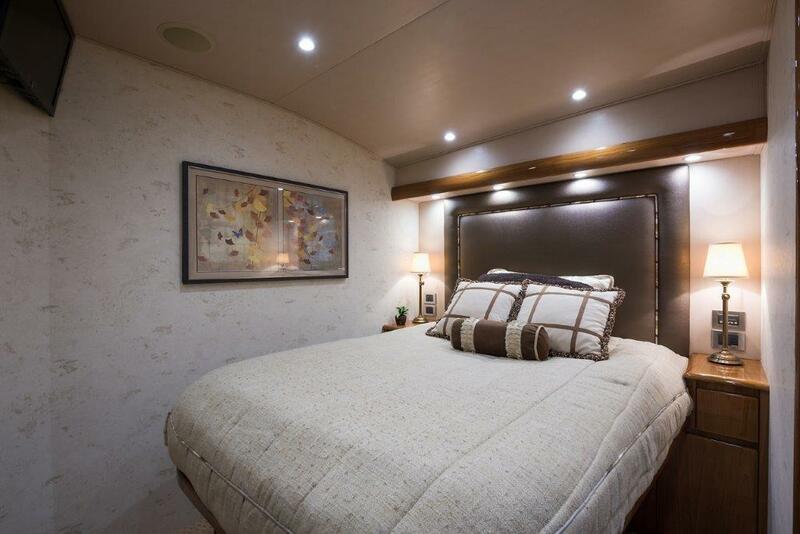 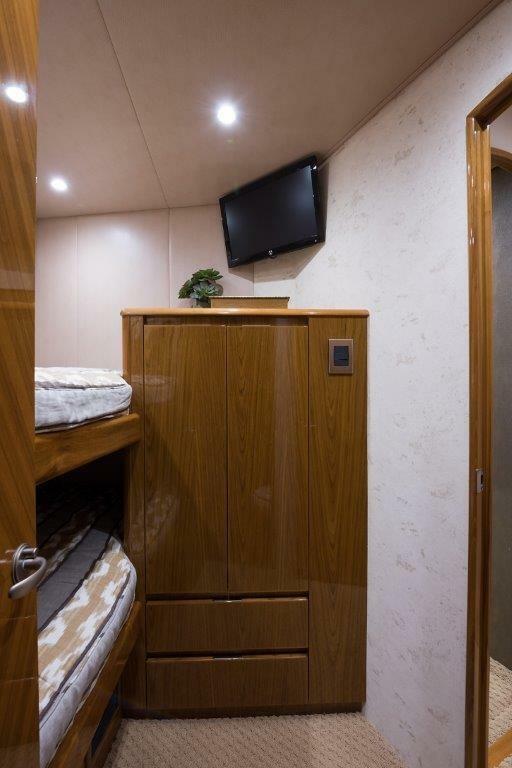 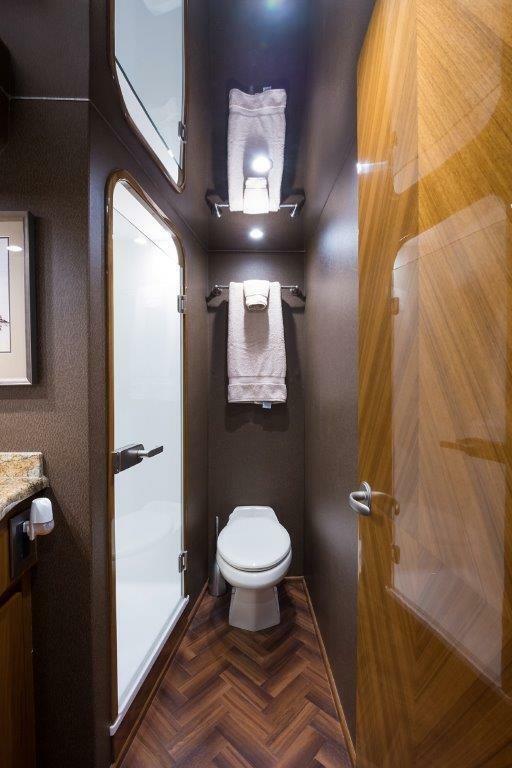 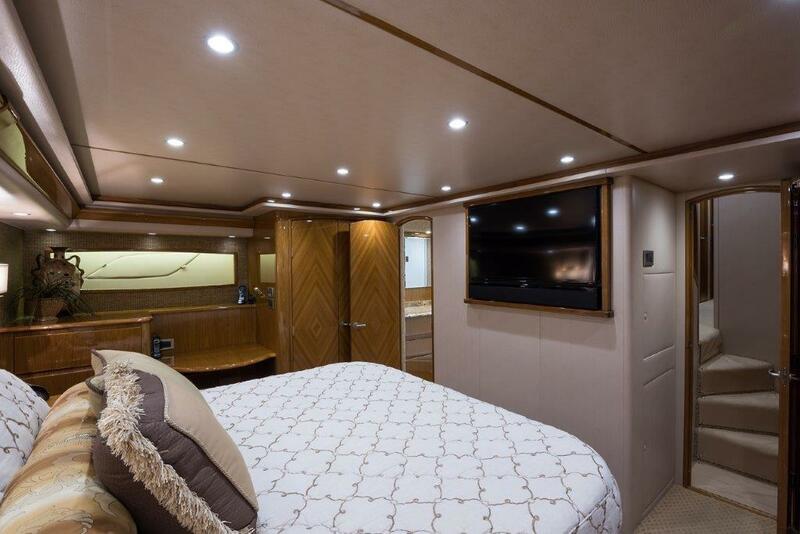 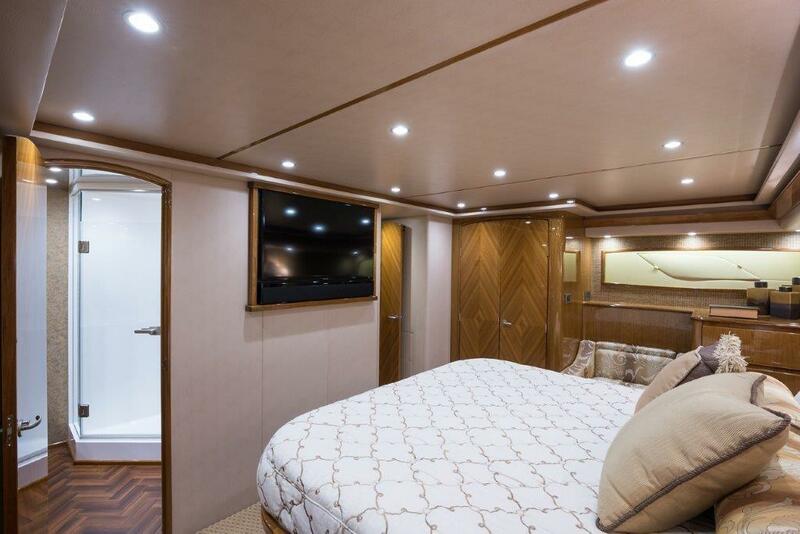 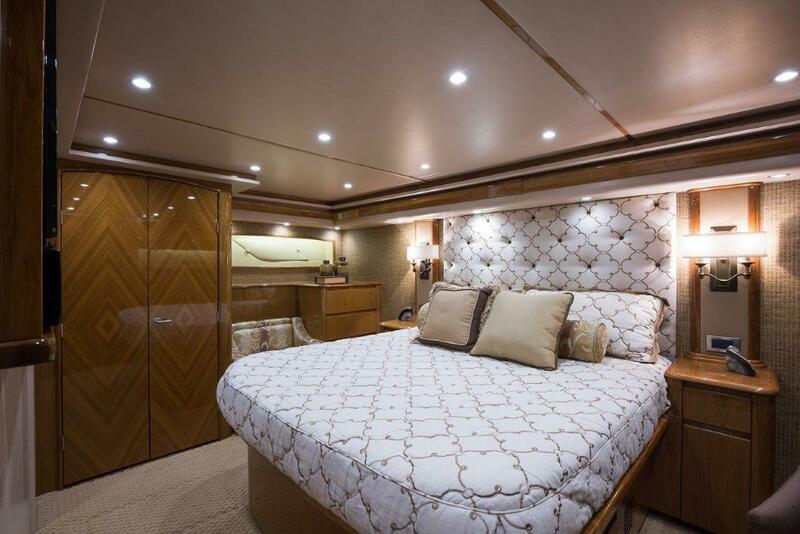 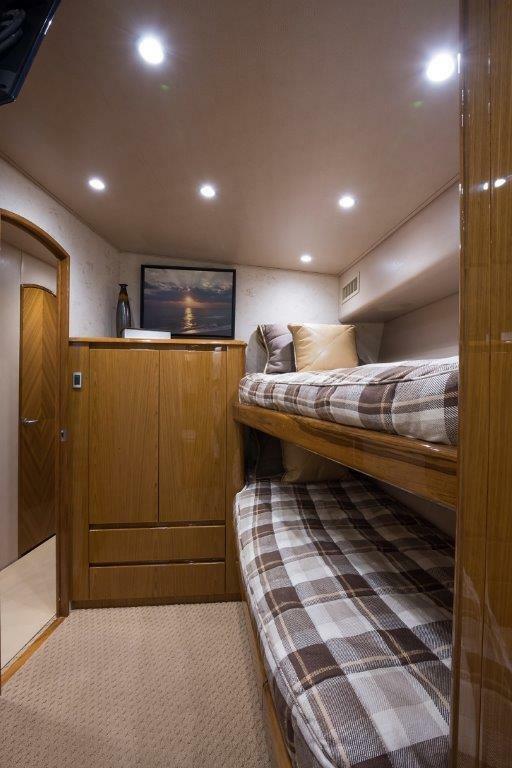 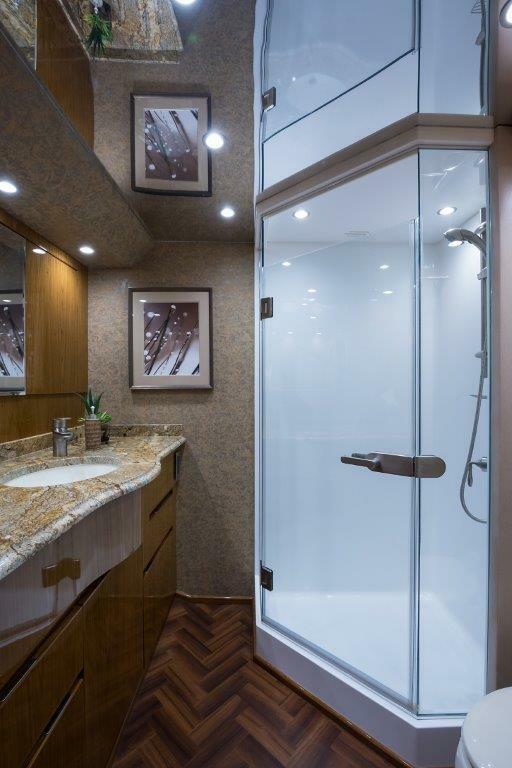 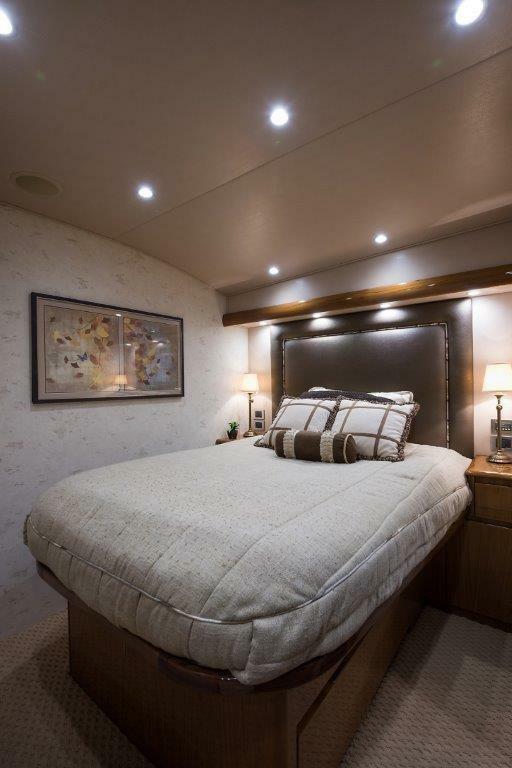 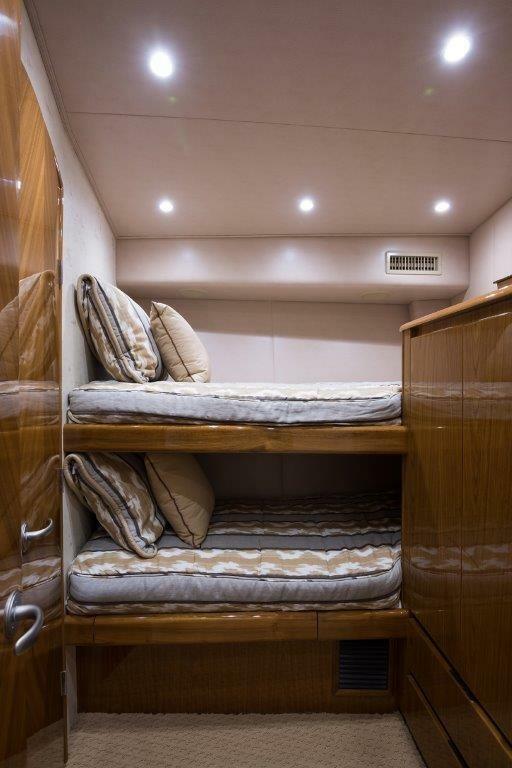 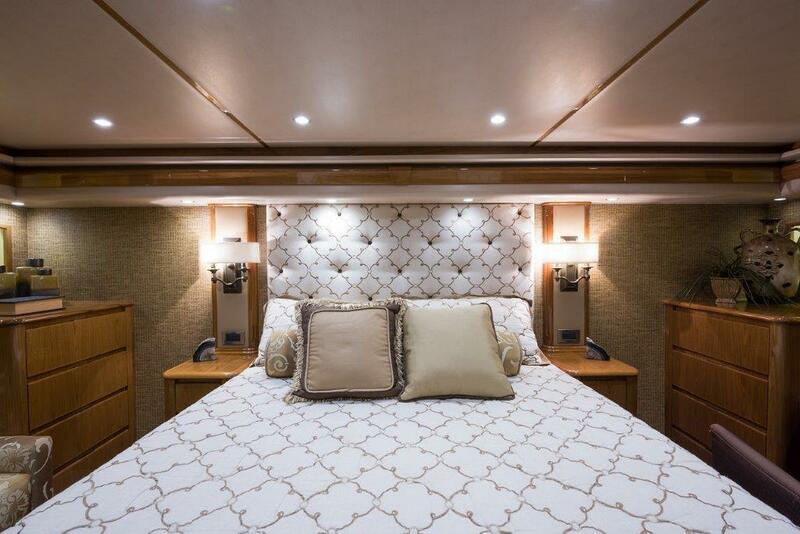 Below decks, the full beam master stateroom with ensuite facilities is amidships. 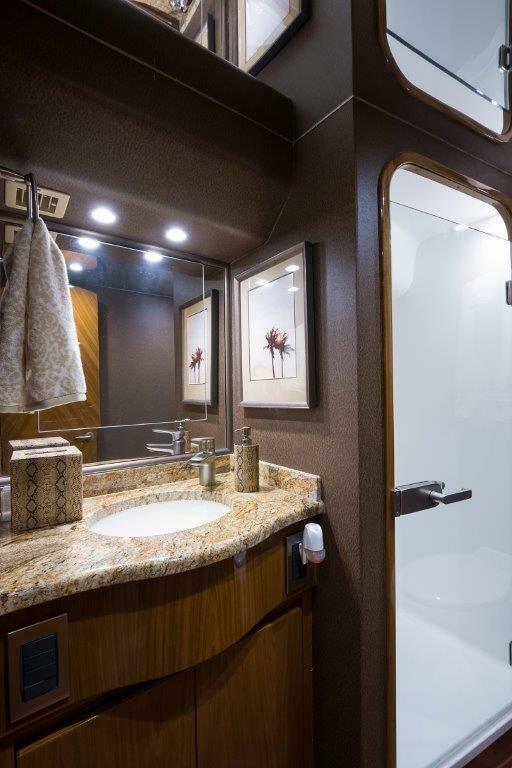 Guest accommodations are provided in the forward guest queen berth stateroom, with ensuite facility. 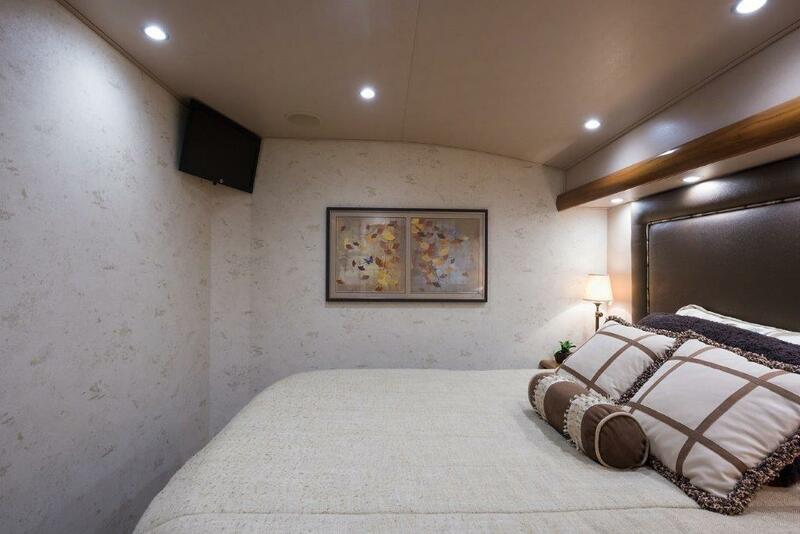 To port are two guest staterooms with a shared head. 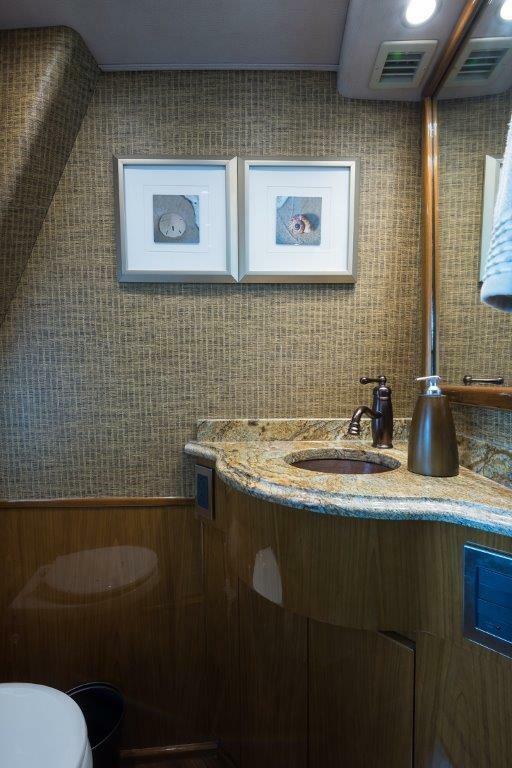 To starboard is the fifth stateroom, usually assigned to crew, with private head. 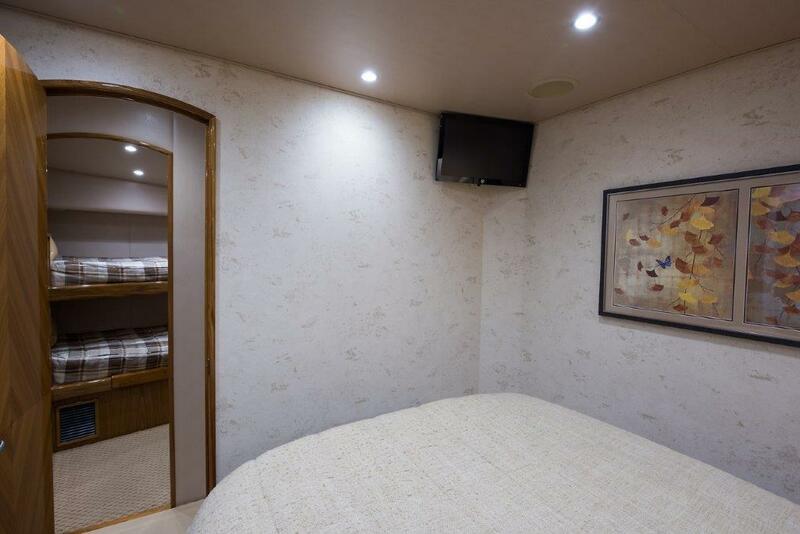 There are televisions in each stateroom. 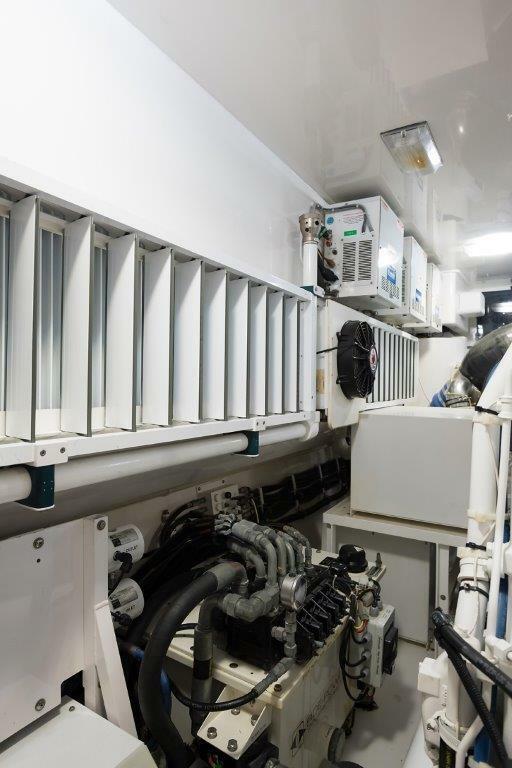 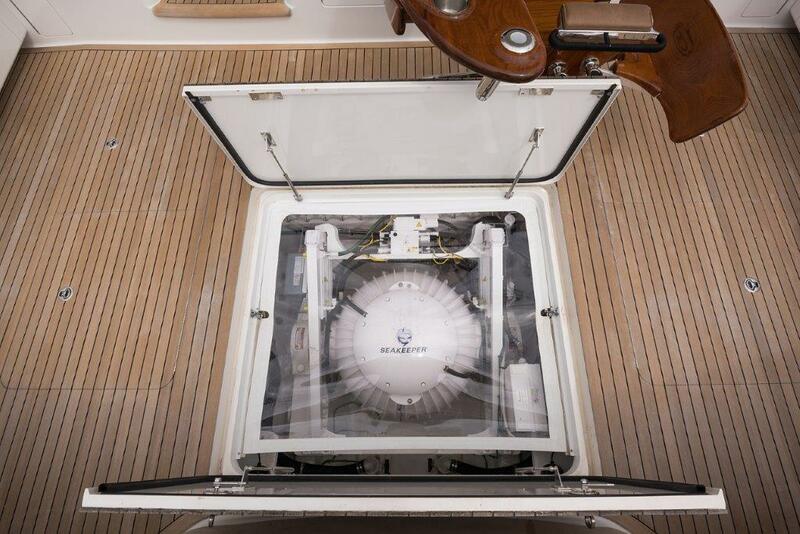 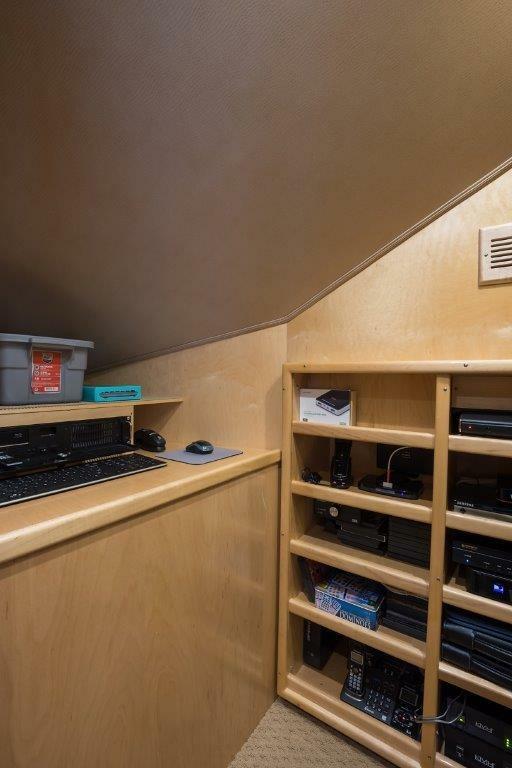 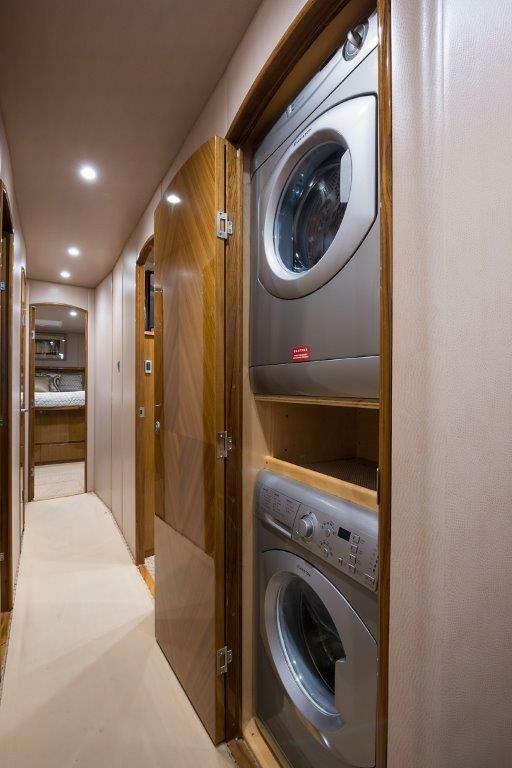 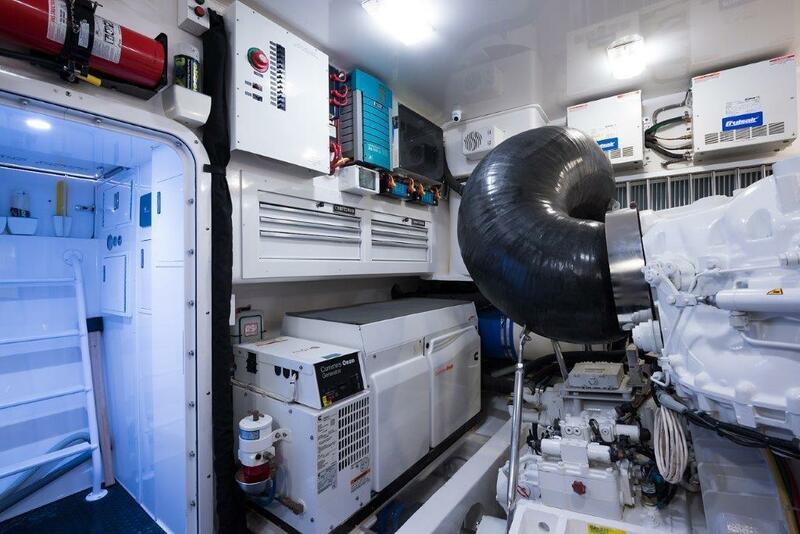 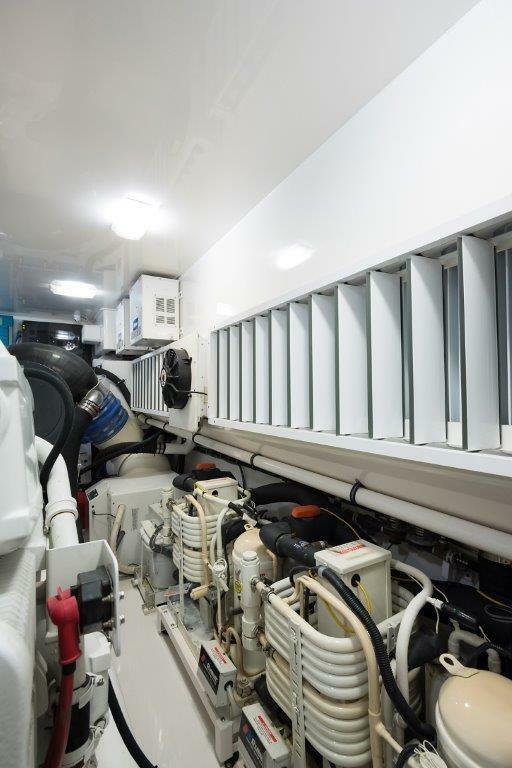 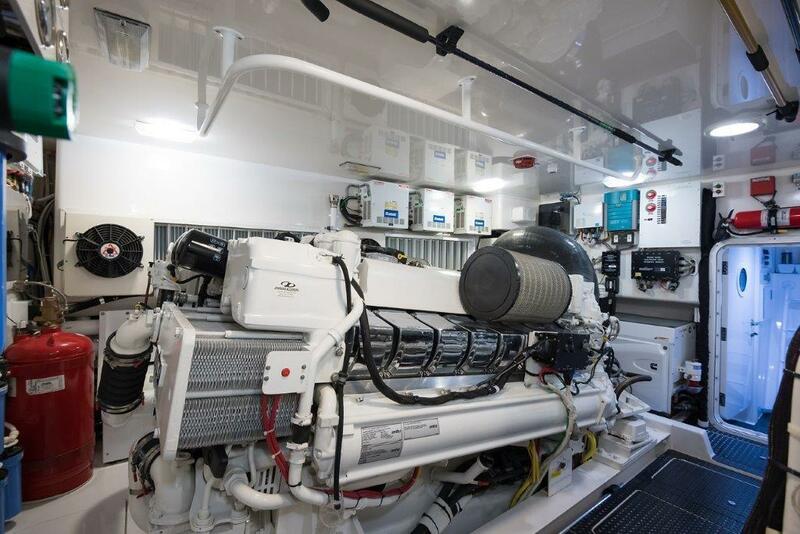 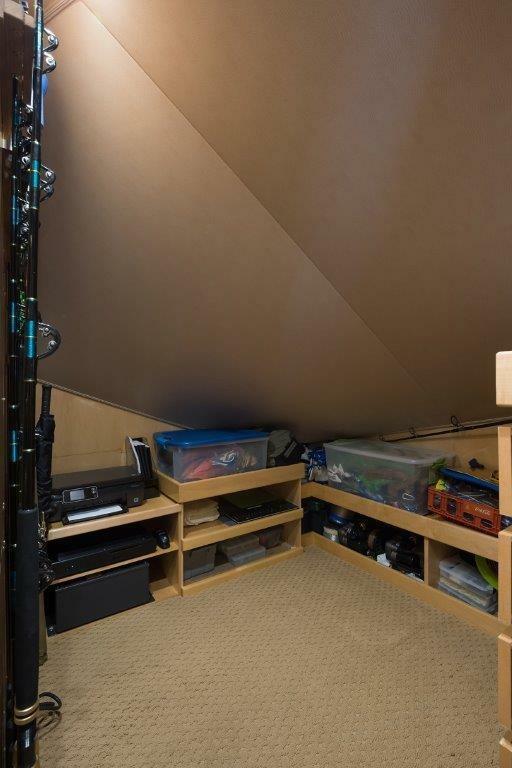 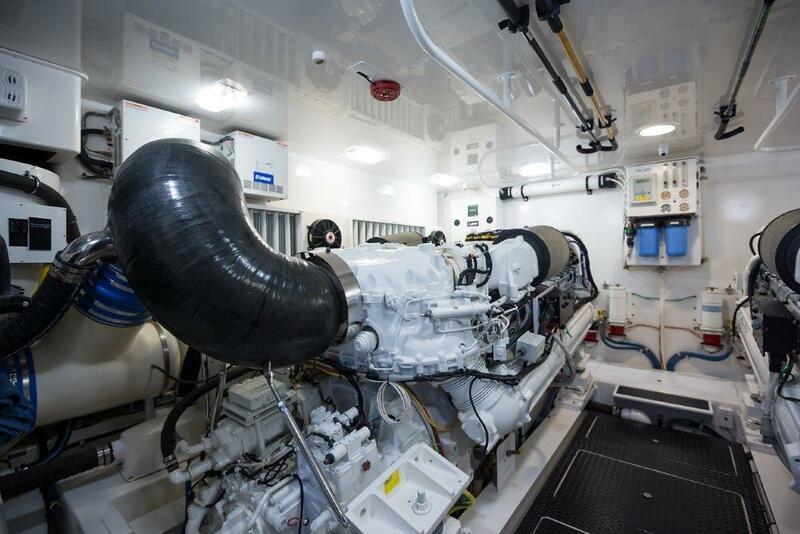 The laundry center is accessed from the companionway as well as the central vacuum system. 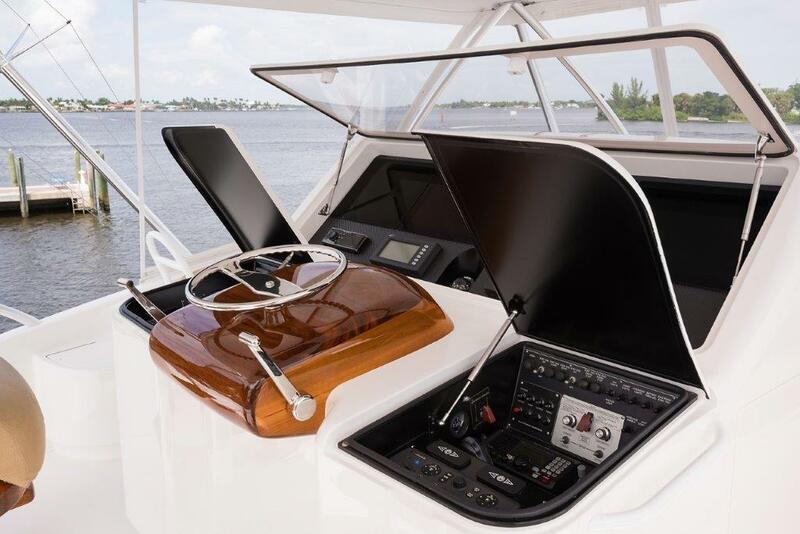 Two 17" LCD Glass bridge marine monitor, model GB 17"
Owners personal items, fishing equipment and all tools. 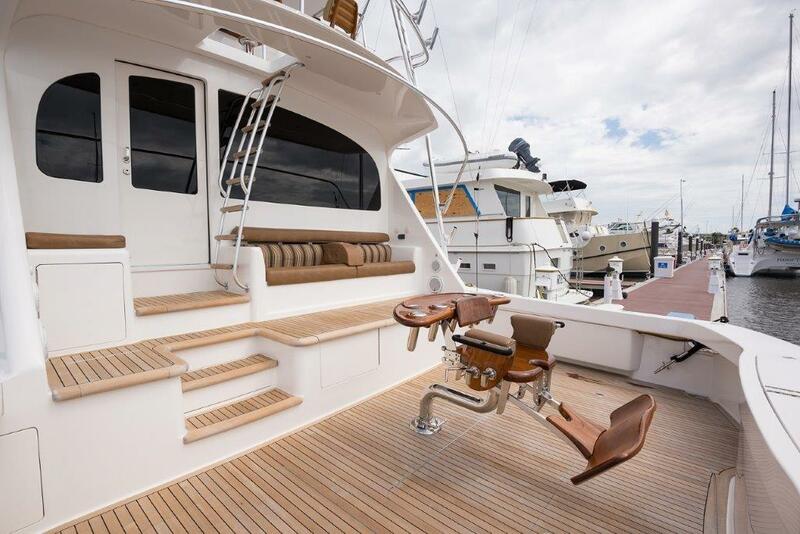 Prospective purchasers should not assume the items not specifically mentioned will convey at closing.